If you’ve ever experienced a depressive episode, you know it’s like a wide and deep landscape, with multiple dimensions and layers all swaying and swirling as you make way through it. But instead of looking at it only as a sickness, why would we not look at it as a journey to a new self; our real self. To reassess it, let’s back away a little and look at it through new glasses: those of an herbalist. When I was invited by Herb Geek to write an article on depression, many things spontaneously came to my mind. And the one that I felt needed more visibility is how we, as herbalists, approach this difficult issue and what influences our choices of treatments. But before I get to the point, let’s first explore the cultural views on depression and the different physiological causes we think are linked to it. I also wish to broach the issue of medication and the impact it might have on depression. All diseases are seen through a specific social context that varies throughout history. The term “depression” itself has not been used until the mid-nineteenth century to describe a specific mental state. The approach to treatment was then psychological and psychiatric. It was previously seen as disabling melancholia. In the last decades, the symptoms of depression have been increasing in number as they became increasingly blurred, thus including more and more states that were not before seen as depressive. Grief is a good example of this phenomenon: The last DSM now classifies a grief lasting longer than two months as a depression, and thus as a disease that should be medicated. When one is offered a pill to alleviate deep sadness, it’s enticing to take it. Western culture is oriented towards the individual and holds us in an illusion that suggests if one does things right he/she can escape suffering. This prevailing perception is not as present in the rest of the world where sadness and suffering is not taken so personally and thus is more acceptable. There is a very interesting example of this in the book Crazy like us by Ethan Watters, where the author explains how antidepressants have been marketed in Japan in the early 2000s. GlaxoSmithKline, the makers of Paxil, have struggled to convince the Japanese how depressed they were and that they needed to take a pill to treat something they perceived not as a disease. In fact, the Japanese considered the capacity to experience great sadness not as a burden but as a mark of strength and distinction. Since they are less prone to individuality, they do not consider inner states as an individual’s affliction but as a reaction to a greater environment, including the weather. A feeling of sadness at a sad situation is a sign of sensitivity and surely not an illness! Why in the world would we give a pill to a person who has a correct response to a difficult situation? My point is this: the diagnostic of depression is profoundly marked by our cultural view. It is also sadly influenced by the industry’s marketing its remedies, as it was proven by the sky rocket sales of antidepressant by the 2005 in Japan! They managed to convince the Japanese that sadness was a treatable illness. My observation is that the classification of mental disease is based more on the availability of the medication than on scientific or physiological evidences. Now that new drugs are coming out and that their market has expanded, some of my clients are happy to “know” that they have adult ADHD or progesterone deficiency. Recently, a client gave me this comment: “So that’s why I’ve been crying all the time (not because I’ve been dumped by my ex)”. As we throw various remedies at the situation, be they herbs, drugs, diet or life style changes, we literally define it. This might make us feel a bit more secure in our treatment choice, but I feel it is important to consider the act could also be a factor limiting the healing process. When we put all the symptoms in one package to make a single diagnostic, we lose the subtlety of our different states and disharmonies. More and more people are placed on antidepressants, including many of my clients, because they are burned-out, grieving, anxious, sleep deprived, eating the wrong food, repressing emotions or are just too sedentary. Antidepressant medication never addresses these core issues. As you may well know, the serotonin deficiency as a cause for depression has not been proven and remains, to this day, an assumption. And, may I add, the efficiency of SSRI medication over placebo has not stood out. Moreover, side effects of these drugs have been demonstrated. Rising evidence reveals antidepressant induced side-effects; some of them very significant, like sexual dysfunction, lack of libido, anxiety and suicidal ideation. It is now well documented that the risk of suicide during the first month of treatment involving some antidepressant is increased for patients aged under25. [i] Such a heart wrenching situation happened to one of my graduate’s client who committed suicide in the first weeks after starting this type of medication. The problem raised is very serious and I feel that, as practitioners, we have to help our clients make difficult decisions. The main idea here is not necessarily to start a war against these drugs. The cards have to be laid on the table so that we can make informed decisions. People need to be aware of this! As a growing body of psychiatrists, mostly from the old guard, are suggesting, another issue we have to start addressing is that the use of antidepressants may be increasing the recurrence of depression. We may be changing the structure of our brain by trying to feel better. In 1994, Giovanni A. Fava was already sounding the alarm and recent research is sadly proving him right. 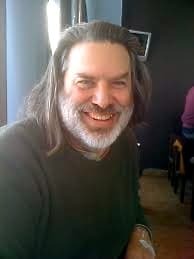 Here is a quote from his 2011 study on The mechanisms of tolerance in antidepressant action[ii]: “There is increasing awareness that, in some cases, long-term use of antidepressant drugs (AD) may enhance the biochemical vulnerability to depression and worsen its long-term outcome and symptomatic expression, decreasing both the likelihood of subsequent response to pharmacological treatment and the duration of symptom-free period”[iii]. This proposition is certainly supported by my clients who have been taking antidepressants for some time. The growing understanding is that antidepressants change the brain chemistry. Post antidepressants depression should be treated differently than a normal depression. This new affliction may truly be an imbalance in brain chemistry and/or structure. Our nervous trophorestoratives, like Gotu Kola for example, may be very effective in these cases. As herbalists, and much like our fellow physicians, we could certainly decide to focus on the physical aspects of depression. Because I must agree that sometimes depression is just that: a physical condition. Although it was not the main purpose of this article, I think it is important to skim through some of the physical origins of depression. If we have often suggested plants and lifestyle changes to uplift a depressive state, never was the answer as phenomenal as when they stemmed from physical conditions! Traditional Chinese Medicine has always associated the organs with emotional states, and even if they did not diagnose depression as we do, their approach shows a lot of wisdom while helping us understand the root of the problem. The description of this approach goes well beyond the scope of this article and in order to give it credit, we should have to devote a whole article. Closer to our western system and resonating with TCM and depression is our new understanding of gut-brain relationship. This relationship has been demonstrated vividly in Morgan Spurloc’s documentary Super Size Me, in which only a few weeks after he started eating fast food, he experienced many symptoms linked to depression. Of course his demonstration is extreme, but it illustrates the relationship between brain and gut: If I eat crap, I feel like crap. Our clients don’t solely eat fast food, but they certainly are constantly exposed to nutritional deficiencies and toxic substances. Of course, as herbalists, we benefit from a bountiful array of plants that can heal the gut and the brain. We also give guidance to support lifestyle changes. To further understand this relationship, I highly recommend the book Gut and psychology syndrome: natural treatment for autism, dyslexia, depression, dyspraxia, A.D.D, A.D.H.D, schizophrenia by Natasha Campbell-Macbride. Another topic I will not go into in this article but I feel is worth mentioning is the relationship between depressive states and chronic stress. During the last decade, research has found supporting evidence that chronic stress induces high levels of cortisol that impedes neurogenesis. I might also add that all the body resources are drained as well. In this case, rest and adaptogens do wonders. Keep also in mind that a sedentary lifestyle and a lack of exposure to sunlight greatly contribute to the symptoms associated with depression. Sometimes depression occurs because there is a lack of meaning or a loss of purpose in one’s life. What herbs do you give then? How can we hold a space for our client’s despair, sadness and anxiety? In those situations, should we not look at depression less as pathology to be treated than as an extreme and creative way to find a new meaning, to take a pause? In a world that offers time for deep introspection and does not value it, depression sometimes seems the only way to achieve this reconnection. When your real self does not succeed in expressing itself in work or marriage, when your day to day content does not resonate with your soul’s purpose, there occurs a lack of meaning and depression highlights all that feels wrong. I invite you, as an herbalist, to act as an introspection facilitator. We should support and encourage our clients to deep-dive in themselves to find meaning. We could stand faithfully by their side, and insist on their capacity to reconnect with their true meaning (for the moment a bit veiled), instead of trying to fix their depression. Of course, even if we can only find one’s purpose and meaning inside ourselves, the outside world still can be a vessel carrying us through our journey. The thing is, we usually “fight” depression, and we try to stuff it with work, drugs or ice cream. We also tend to isolate ourselves because how we feel does not seem to fit with perceived social expectations. The devaluing of oneself in depression is often associated with the social devaluing of «non-performance», and going through such a process have negative connotations. So what if we were invited to embrace it in a different way? Not necessarily as despair and isolation but as an inward journey it invites us to. I often tell my clients that they don’t have the power over the emotions they feel, but they have power to make choices about their isolation. As one journeys inward, he can also open up to the perfumes of the world, may it be comforting music, a walk in the sun, communion with nature or finding a welcoming ear. Trying new ways of expressing ourselves through writing, art, songs… Just to give us a chance to discover who he really is. We have the power to decide to put ourselves in situations that promote life flow and help us gain perspective. In these difficult moments, we have to see ourselves in a different light and find a vessel to hold us in a better way. When we look at it this way, the herbs can be of great help, and not just because they calm the anxiety, clear stagnation or help our gut secrete more serotonin, but because they promote life flow. Personally, I think it is because the plants are connected to life and understand deep purpose. 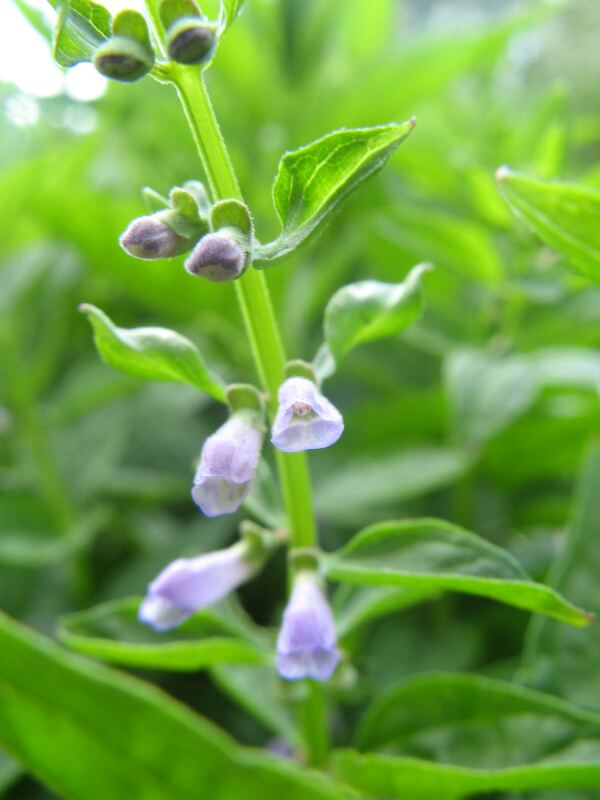 As I often say: you can put comfrey on a dead man’s wound and it will not do anything! Meaning the herbs are helping a process already present in us. Of course, plants do just that: promote life flow! One who comes to mind is Anemone pulsatilla. She is one of my favourite for depressions that stem from a repressed heart. From fear of getting the heart more damaged then it already feels or to limit our perception of its sadness, we try to limit its life flow. But, the consequence is that we limit our connection to our Shen and its joyous nature. Anemone teaches about openness in a soft and protected way. 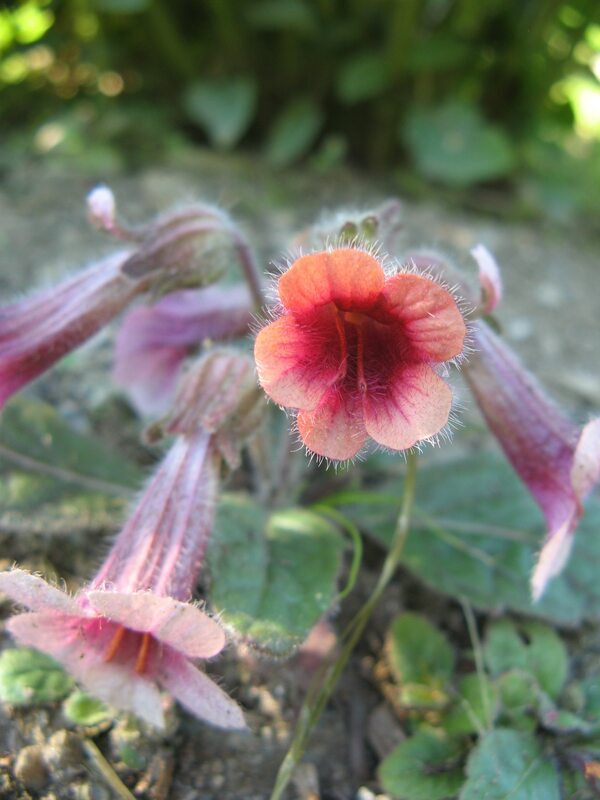 Its flower can open in a very cold and windy alpine meadow because it is enveloped by a downy coat. When I give Anemone pulsatilla to a client, I can immediately see a flow of energy emerging from the heart, a reconnection of the heart to the head and usually a smile appears. I particularly appreciate this herb for depressions that occur after a breakup or any emotional blow to the heart. It eases anxiety and just helps the joyfulness of the heart move more freely. On a technical note, I tincture the dried flower and leaves and, usually, 1 to 5 drops are plenty enough, taken 3 times a day or more. I know many herbalists insist that it does not work when dried, I beg to differ! If we continue on the premise that sometimes depression helps us realize what is amiss in our life, Reishi may come as an ally in the process. From my experience and from what I have seen in my practice and through the experience of my students, this “vegetable spiritual meat”, as the Chinese would name it, helps us in the reconnection of our different layers, it highlights what is not in accordance with our soul. 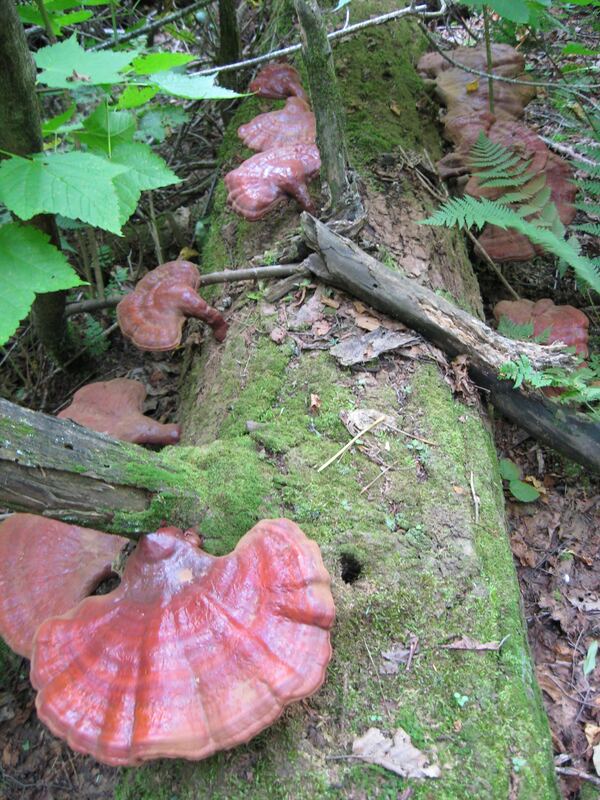 Mark my word, it is not an easy medicine, but sometimes we are so lost Reishi comes as a guiding light. Another of my favourites is Lemon Balm, of course because it is such a mood enhancer, but also because this particular herb is perfect when someone has a hard time letting go of a relationship or situation. I have seen individuals laugh for hours after taking a few drops of the tincture, as if a great release was happening. Of course, I don’t always get this drastic response but it definitely helps facilitate release while bringing back colours to one’s life. I wish to emphasize the importance of our role as caretakers and supporters of our clients through the transformation depression offers them. But to be able to assist them therapeutically we have to take a good look at OUR perception of depression and at our reaction to suffering. As I stressed throughout this article, cultural views are invisible until we back away a little in order to get a better perspective. My invitation is for us to revisit how we hold intent for our client’s journey. We can suggest Mimosa, Black Cohosh, Borage, Pulsatilla, Rosemary, Milk Thisle, bitters or St-John’s Wort (etc.). But let us give them with a deep respect of the process our client are going through, may they be given less as a cure to “fix” and more as support and guiding light for their life flow. As we deeply hold this intention and recognize the importance of the process our client is in, the choosing of our words and plants will be different because the intent has changed. We have to hold faith in our client’s ability to find himself and we can also help him choose what stimulates his life flow and his soul’s purpose. [i] C. J. Whittington, T. Kendall, and S. Pilling, “Are the SSRIs and atypical antidepressants safe and effective for children and adolescents?” Current Opinion in Psychiatry, vol. 18, no. 1, pp. 21–25, 2005. Depression cuts the ground from under one’s feet! 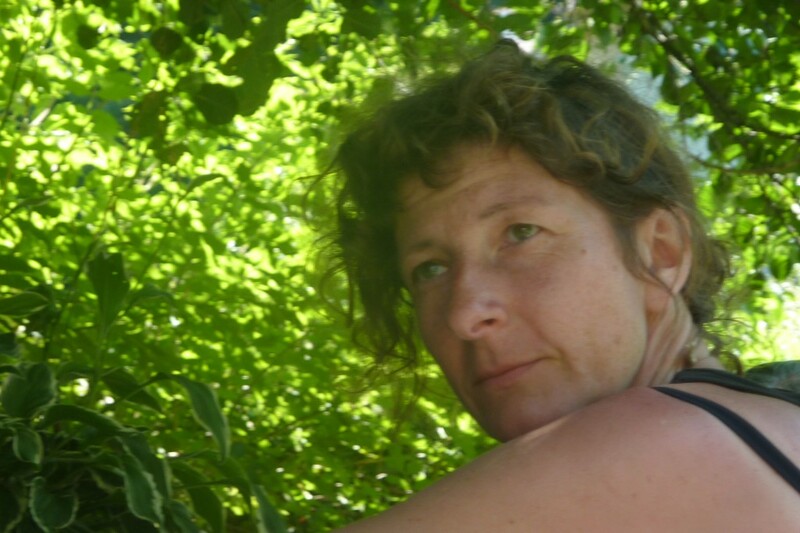 Through my work as a herbalist, I have noticed that many of my patients and especially those suffering from depression, anxiety and stress seem to lack what we call in France ‘ancrage’. Literally translated this means anchoring, which I prefer in a way to the word ‘grounding’ as anchoring conjures up more than just a connection to the earth but the feeling of being nestled deeply and securely in oneself, the solar plexus is the home to the centre of one’s being, the place of inner calm, peace and centeredness. Having one’s feet firmly on the ground and living in the physical body seems to be harder than it looks for people today, there is a general disconnection with oneself and nature…we are part of the natural world are we not? This disconnection results in a loss of self that is highlighted in many forms of depression, vital life energy, that which ‘animes’ or in English, ‘brings to life’, dwindles and the depressed person has trouble finding enough of this energy to dress and feed himself, let alone create his life. An extreme case of this lack of ‘ancrage’, that I witnessed in one of my patients was a thirty year old woman who just wasn’t there, she was unable to take hold of anything that was said to her, I could feel her absence it was palpable, as if she was hovering above her body, when asked a question her replies were off the subject as she was so not there she wasn’t able to really hear what was being said to her. This person had lost her mother in an accident at the age of fourteen and the shock had pushed her out of her physical body, a survival technique that had its use at the moment of the shock, however sixteen years later, she was still disconnected from herself and the world in which she lived, what had been a survival technique at the time was now preventing her from ‘living’. This is a severe case, where the person was completely removed from her physical self, however many people live out their lives in their minds. I would say we are all to some extent suffering from this disconnection to ourselves as our lives move further and further away from nature and evolve more and more around virtual communication, stationary activities, sterile environments, we look for sense outside ourselves and forget to hear that inner, unique resonance that is ‘I’. The feeling of being ‘anchored’ in oneself is not as ‘subtle’ as it may appear, once grounded and reconnected there is a real and tangible feeling of being in one’s rightful place, at home in oneself and really here on earth. This feeling brings about a more positive outlook and more confidence in life. A distance appears from what is ‘oneself’ and the thoughts, actions, noises and stresses of life, a distance that helps one to let go of things and thoughts more easily and at the same time accept life, there is less resistance and as we all know ‘what resists persists’. So, how to go about helping a depressed person to feel more grounded and centred within themselves? There are many different techniques for ‘grounding’, such as dance, gardening, walking in nature (preferably bare footed), meditation, yoga, Tai chi, massage, swimming in rivers or the sea, to name but a few. These are things that can be slowly integrated into work on lifestyle changes with someone recovering from depression. However the depressed patient, who hasn’t yet got to the stage where he or she is ready to take on new activities (low motivation) but may greatly need to feel that base foundation of connection with self, could benefit from plant medicines that help to ground, centre and align. Plants that stimulate and re-activate adrenal action are also recommended as adrenal exhaustion is often linked to a lack of grounding in the physical body. The adrenal gland’s contribution to our physical health and general vitality is very important, they are connected to the root chakra, a lack of grounding means that the natural energy cycle that triggers the adrenals into action lacks conviction and there is a gradual depletion and imbalance of adrenal energy. These propositions would of course be part of a long-term treatment that addresses the different aspects that make up this complex state of imbalance, known as ‘depression’. The name valerian comes from the Latin word ‘valère, ’ meaning “I am worth”. It took me a long time to really get to know this plant; in retrospect I think I was approaching it in the wrong way. I was surprised when I did eventually make the connection to find that it was a lot more subtle and gentle with a certain finesse to its action that I was not expecting. I use valerian root for people who are mentally all over the place, people who cannot sleep because their mind is running or who are overly nervous or even hysterical with uncontrolled thoughts and panic. It gently brings a person back into their body, gathering up dispersed consciousness and calmly bringing it down to a safer place within (antispasmodic action on the solar plexus region), where the phase of deeper sleep is increased and an appeasement is found. Wilhelm Pelikan in his work called ‘Man and medicinal Plants’ based on his studies with Rudolf Steiner states ‘Valerian brings the cosmic down into earth and not the earth into the cosmic’. The roots are the part used and my experience is that they connect us very much to our own roots (both in the sense of physical grounding and our genealogical roots) enabling us to contact a deeper, more solid sense of ‘ancrage’. 5 to 10 drops in the morning (to be repeated during the day if necessary) for depression and stress. 5 to 30 drops before bed for insomnia. Although most people talk about Angelica archangelica when talking and writing about this plant, I use the latter for making tinctures and hydrosols (Angelica sylvestris)as it grows wild around my home and the former I buy as an essential oil. 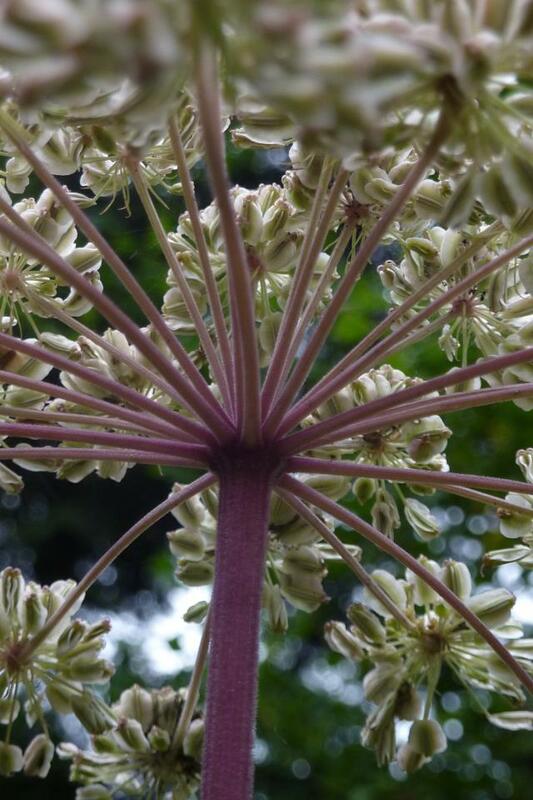 Angelica has similarities with valerian in that it has a long hollow stem that leads us down to the roots, the signature for plants with this structure is often considered as plants that help in ‘journeying’. I see them as plants that help align, making the connection between the lighter part of ourselves connected to our original source (essence) and our roots or material grounding. Like valerian, angelica helps those people who have difficulty coming into their physical bodies, I use the essential oil of the roots for this, a drop every morning for 21 days, rubbed into the sole of the foot and one drop rubbed between the hands. The grounding effect is more or less instant, as if suddenly the body recognises the connection (the plug has been put back into the socket) and at the same time it seems to strengthen both the physical body and the spirit, bringing vitality back to the organism! Angelica root tincture or hydrosol can also be used internally. 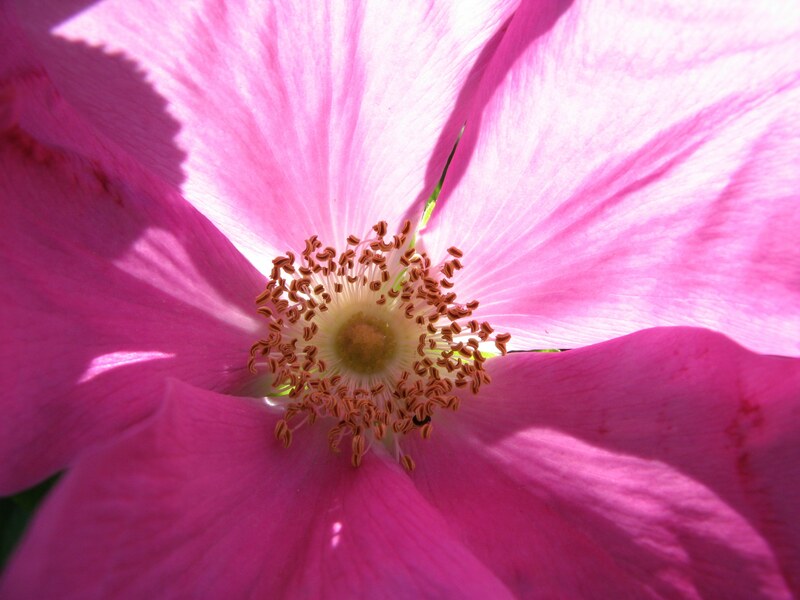 *Do not use the essential oil on the skin before going out in the sun, as it can be photosensitive. This plant is often mistaken for Angelica, it belongs to the same botanical family, the Apiaceae family, grows to a similar size and has a large creamy white umbel inflorescence and long, empty stalk…hogweed is hairy though, unlike Angelica. There is very little modern literature that refers to this plant, although perhaps more in France than in Anglo-Saxon speaking countries. It grows very abundantly where I live and it seems a pity to ignore such a forceful and strengthening member of the local flora. In comparing Angelica and Hogweed, I feel that the former is more feminine in its resonance and Hogweed more masculine. They ground, align and revitalise and both have in the past been referred to as European ginseng but Angelica works in a more balanced way, between its tonic action and its capacity to calm serious nervous stress (interesting to note that angelica contains valerianic acid). Hogweed on the other hand doesn’t have the Latin name of Heracleum (from Hercules) for nothing; this plant (the roots) is a real tonic for combatting chronic tiredness and a lack of physical motivation, it wakes up the life force that empowers us to take part in the world, it was for this reason used for problems related to masculine impuissance. Its common name in France is “Patte d’ours” meaning ‘bears feet’ due to the resemblance of its leaves. Emblematic of grounding forces and strength, bears spend winter hibernating, their metabolism slows down and they resonate with the internal processes of nature and the earth. They then emerge with the renewal and re-birth of spring, a new found energy born from a place of deep grounding – true vitality can only manifest from a solid base. Tincture of the fresh roots 10-30 drops three times per day. Nettle is a very nurturing and nourishing plant but it is perhaps its high iron content and strong connection with nitrogen and the soil that give it its powerful, deep supporting action. My experience with nettle for grounding, supporting and reinstalling an earthed resonance is funnily enough in using nettle hydrosols. Hydrosols are in my opinion useful plant medicines when wanting to use a plants inherent vibrational message; nettle hydrosol carries this deep, earthy, nourishing and rhythmic force. Nettles themselves contain nitrogen and love to grow in nitrogen rich soils. 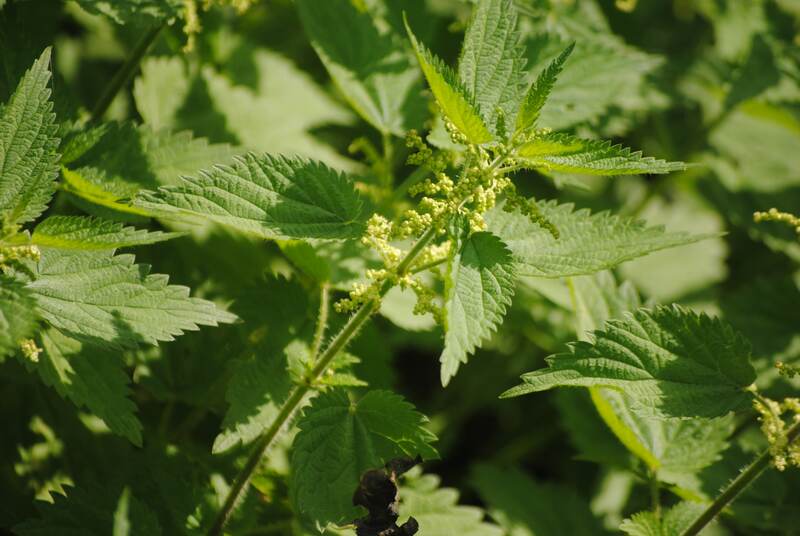 There is an earthiness about the nettle plant in its physical structure, which is made very evident when it is made into a fermented extract for use in the garden, where its it takes on an aspect very reminiscent of cow dung. Nettle also has a high iron content (and vitamin C which helps its absorption), which along with its high chlorophyll content makes it a great blood builder. This resonance with the blood is important when working on grounding and centring, as the blood is the carrier of our incarnation and materialisation. Rudolf Steiner described nettle as being, “permeated by the force of iron, linked to man’s rhythmic organisation”, the body’s subtle respiration and circulation, vital to overall health is imprinted in the message that nettle brings us. There is an earthiness about the nettle plant in its physical structure, which is made very evident when it is made into a fermented extract for use in the garden, where its it takes on an aspect very reminiscent of cow dung. Nettle hydrosol bears the signature of iron and its connection with nitrogen regardless of the fact that the molecules may not be present, this message seems to be stronger in hydrosol form and this is why I use it when working on ‘fine tuning’ rather than the purely ‘physical’ level. However nettle leaf tincture or tea will also do the job and may also be the better choice in some cases, depending very much on where the emphasis needs to be, is it a re-adjustment that is needed from the plant’s vibratory message or is the importance on the actual physical depletion, where nettle’s adaptogenic qualities and adrenal support are the priority. The two can also be used together as hydrosols incorporate very well into both tinctures and teas. Pine’s supporting and giving nature has made it one of my favourites, gently but solidly helping out at the moments when one really does need a shoulder to lean on. Pine is an adrenal cortex stimulant and a very supportive medicine. I am a great fan of its essential oil, a drop rubbed onto the adrenal glands every morning for at the most seven days (three days is usually enough) to re-activate fatigued adrenals. Its ‘cortisone-like’ effect has a re-triggering action; the adrenals will then go on and function more fully independently. The uprightness of pine combined with its supporting action make it a great allay for aligning oneself gently and with a feeling of security. The flower essence is used for feelings of guilt and self-reproach; depressed people often feel worthless and may even blame themselves for others problems. Pine’s gentle supporting strength gives us the feeling we are worthy of love and acceptance from ourselves and helps to stop feelings of self punishment. * Pine essential oil can be irritating to the skin in sensitive people, if this is the case add to carrier oil before applying. It is interesting to note that many of the essential oils that are used for grounding were those used in rituals and spiritual practices throughout history, re-enforcing the importance in being well grounded in order to be well connected to one’s soul. Sesquiterpenes give what is called a ‘base note’ in aromatherapy and are contained in many roots and woody parts of the plant, they are the essential oil constituent found most commonly in grounding oils. 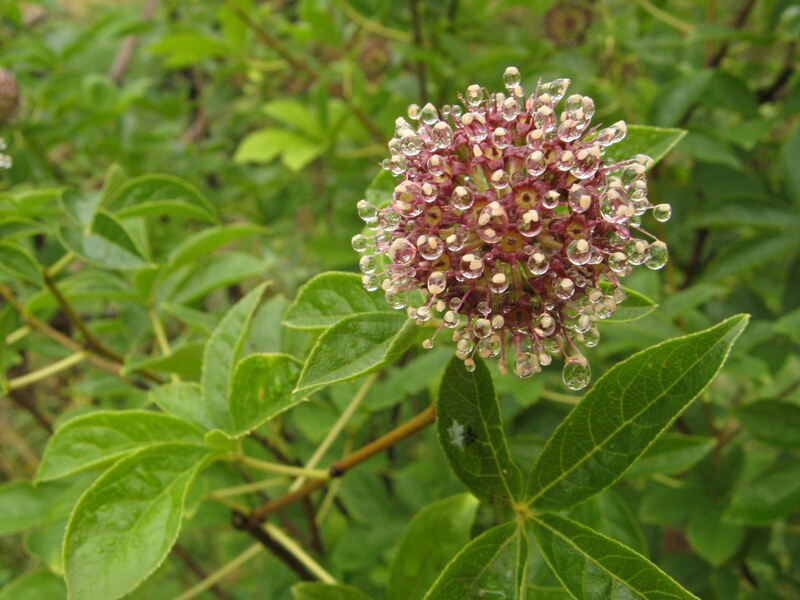 Nard (Nardus jatamansi) essential oil contains 60% sesquiterpenes and has a very earthy smell of forest floors that brings us right down into our lower bodies liberating at the same time the over stimulated mind. In this grounding action there is also a re-harmonising effect that is felt throughout the organism from the toes up to the head and which transmits warmth, comfort and security. 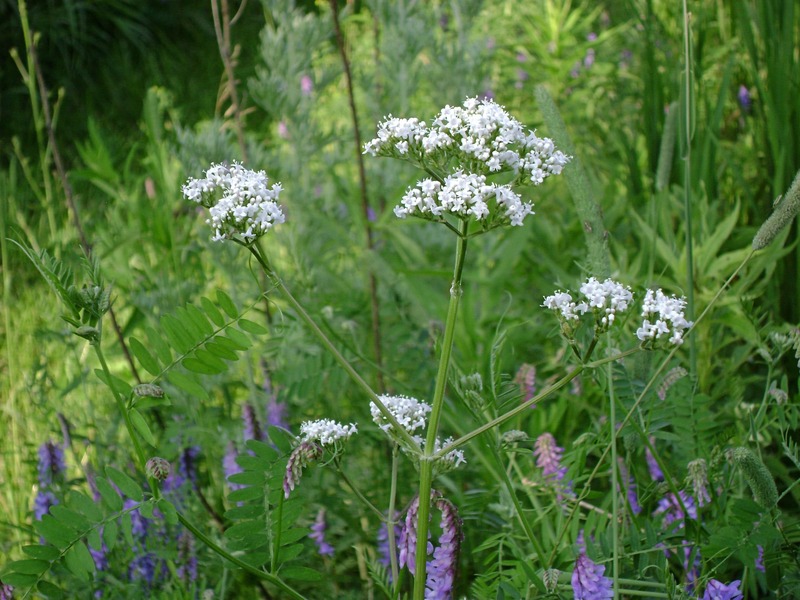 It is interesting to note that Nard belongs to the same botanical family as valerian. 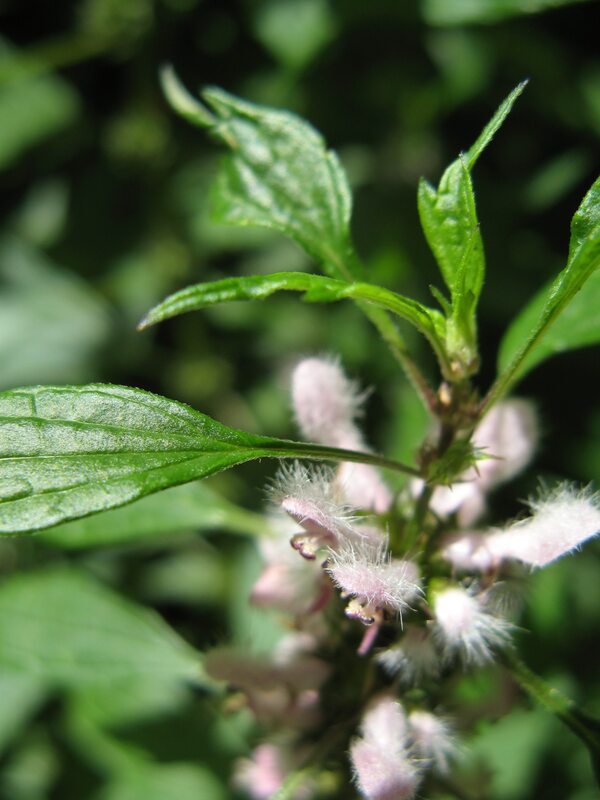 Patchouli (Pogostemon cablin) with 30% sesquiterpenes has a strong relationship with the material world; it conveys stability and grounding as well as stimulating physical and psychological force during periods of chronic tiredness, stress and mental agitation. 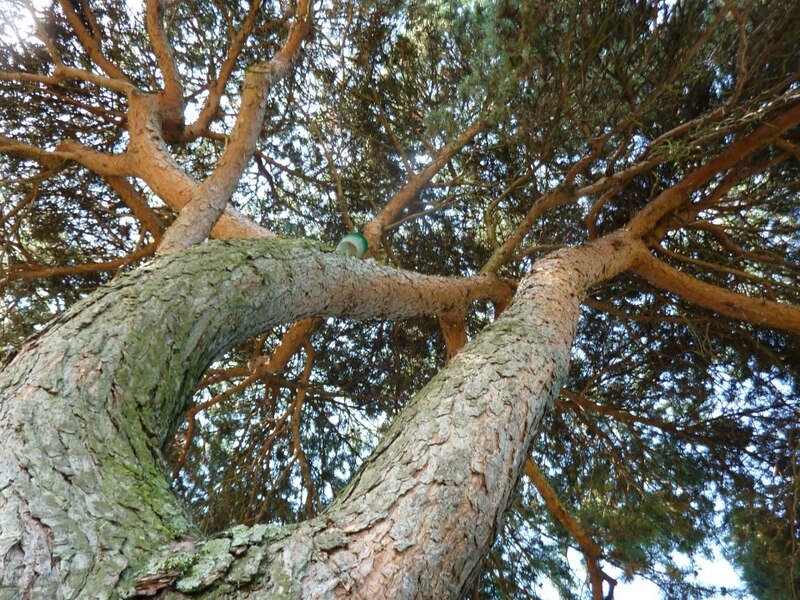 Cedar (Cedrus atlantica) contains up to 70% sesquitepernes and acts as a link between a solid base foundation that connects to a naturally held spine, neck, shoulders and head. Its action procures the feeling of safety, being well anchored on earth with a solid psyche. Sandalwood (Santalum album) with up to 50% sesquiterpenes, sandalwood unifies all aspects of the self thus helping to relieve stress, nervousness, mental dispersion and nervous exhaustion. It opens the solar plexus and helps us feel at home, balanced and harmonious within ourselves. These essential oils can be used daily as described for Angelica – a drop on the sole of the feet or in a carrier oil (15% dilution) and massaged into the whole foot. I find that massaging one’s own feet is very healing, it is something that can be done without the help of anyone and it is about taking the time to take care of oneself. Due to all the nerve endings in the feet, an instant sense of detent and relaxation is felt and stress and anxiety are reduced. The feet are also the home of many ‘proprioceptors’, the sensory receptors that give us information about what is going on in our bodies and help us to know where we are in space and time, working on fine tuning our physical balance helps alignment, grounding and inner balance. 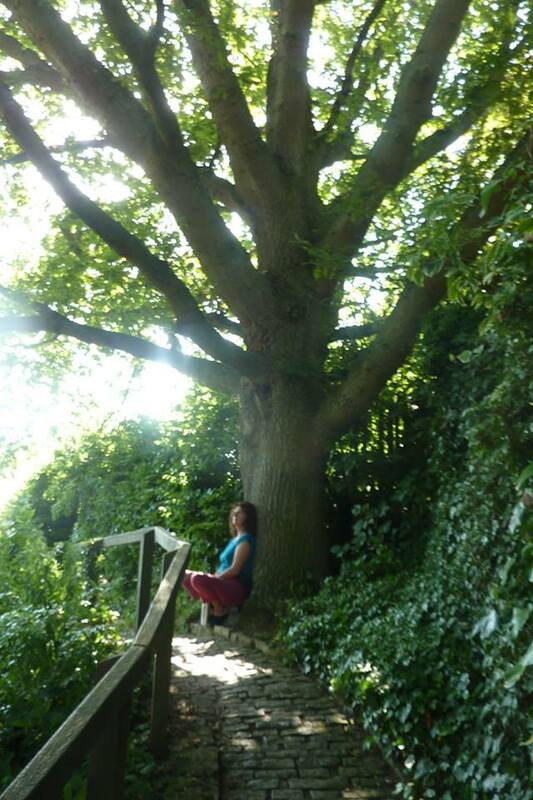 I have found that the trees that help when working on structure, alignment, centring and grounding all have a great strength to them but this strength is conveyed in a very warm, supporting way…true anchoring and strength manifest by gentleness and a loving tenderness. 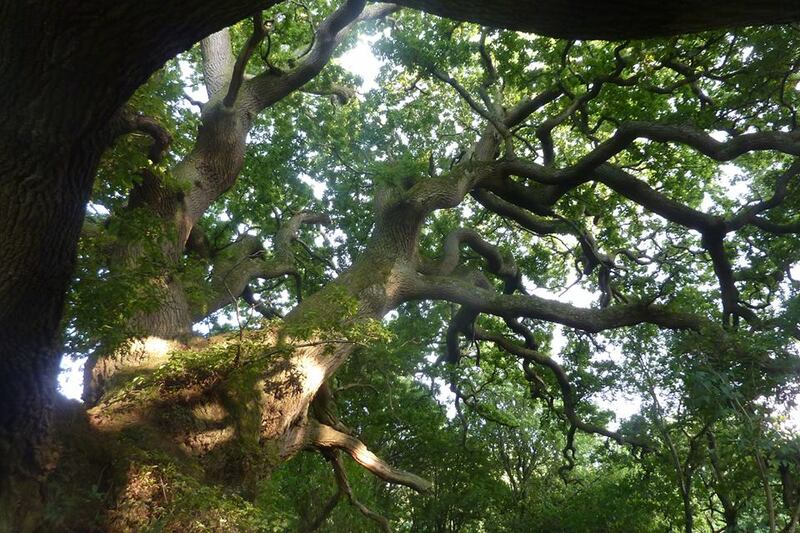 Oak trees are well known for their deep roots, it is said that they grow as deeply downwards as their branches do upwards. Their strong, thick trunks link their earthy roots to their sky bound branches symbolising a healthy alignment between being well grounded and connected to spirit. Oak tree essence helps find stability, balance and strength, an anchoring in the here and now. Yew is also a very grounding tree, its branches can grow into the ground, its wood is incredibly hard and was used to make shields. The rune Ihwaz represented by the yew tree symbolised protection and defence against unwanted outside influences. Yew trees are amongst the oldest living trees and when the central trunk dies the tree lives on. Yews grounding energy is so strong it takes one beyond grounding the physical body to a sense of integration with the land, a deeper personal connection to nature. Depression can take on as many different forms as there are people suffering from it but one thing that I believe is common to many forms of depression is an inner feeling of some sort of loss of self or lack of coherence. As part of an overall treatment, plant medicines can help re-establish a connection with our roots and with nature and thus help relieve the epidemic touching modern man at the moment, described so well in the film ‘Numen’ by Tieraona Lowdog as ‘soul sickness’. Herbal treatment strategies for depressive disorders is a huge topic upon which books can be written. I am going to begin by touching on a few basic herbs to help mitigate the effects of SAD. I do want to emphasize that if you suffer from lingering or moderate to severe depression, you should consult with your medical practitioner. As we head into fall and winter, the days shorten, and the weather becomes cold and often gloomy. This change of season can contribute to increased levels of depression, which can include SAD (Seasonal Affective Disorder). SAD is often associated with feelings of depression, anxiety, and gloominess. These cold winter months are a great time to focus on eating warm, nourishing foods such as stews and soups made with homemade bone broths, and baked/cooked vegetables like squashes, root vegetables, and leafy greens. Embracing these warming cooked foods, and avoiding cold, raw foods is a great place to begin when treating SAD. Warming herbs are also wonderful to use when you are feeling cold, damp, and sluggish. 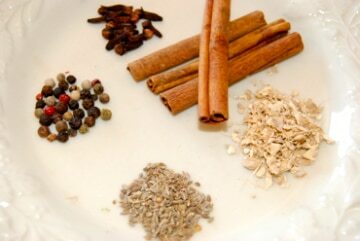 Some of my favorite warming herbs include ginger, cinnamon, orange peel, licorice, cardamom, black pepper and garlic. Many of these culinary herbs can easily be incorporated into your daily cooking. Bring the water to a low simmer and add the herbs and black tea, continuing to simmer on low for 15-30 minutes. Remove from heat and strain. SAD can also be accompanied by anxiety, in which case Nervines (nervous system tonics) can be very helpful. Nervines are herbs that are calming to the nervous system, and help to nourish the nervous system, and restore emotional balance. A few herbs that fall into this category are lemon balm, oat straw, chamomile, catnip, ashwagandha, and lavender. One of my favorite ways to enjoy these herbs is in the form of a tea. 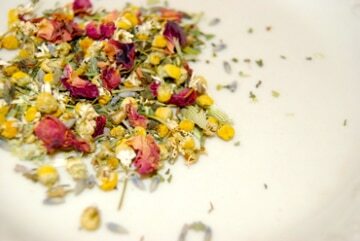 Here is a nice blend that can be sipped during the day to help to cheer the heart. You can also make this blend up ahead of time, storing in an airtight jar. Bring one cup of water to a boil, then turn off the heat. Add 1-2 tsp. of the blend to the cup of water and allow to sit for 30 min. Strain and enjoy! Take 1-2 cups per day. The herbs discussed are a great place to start as the season changes, the days shorten, and the weather becomes chilly. For a comprehensive discussion of herbs to alleviate SAD, you may choose to consult a health care practitioner. As the shortest days begin to cloak the Northern Hemisphere, many among us feel an inner darkness echoing that of the long, cold nights. While introspection and slowing down in alignment with the waning light is appropriate and essential, for many the gathering dark triggers a change in perspective and mood that makes life far less pleasurable. For some, the effects are crippling and can impact work, family, and physical health. Seasonal affective disorder is especially common in the northern latitudes where I live, but depression can occur at any time of year, regardless of available light. While industrialized cultures’ attempt at countering the winter season’s darkness with light and celebration is arguably overdone, it is actually rooted in a natural inclination towards balance. We can see this basic wisdom expressed in the many global spiritual traditions whose Winter practices include bringing inside and tending candles and fire as small representations of the sun, whose light and warmth is temporarily less intense. People have long drawn on this simple concept when addressing depression, too—where there is inner darkness, let us bring light and warmth. This has often meant warming, drying plants, many times aromatic and stimulating, those which can rekindle the fire within until things change (whether season or life circumstances) and one’s indwelling light can burn steady on its own. But, while it is convenient to imagine depression as parallel to the longest, darkest night, as we shall see, it is not always so tidily characterized and requires a flexible and multifaceted approach. Depression is defined by the Diagnostic and Statistical Manual of the American Psychiatric Association as lasting negative mood or loss of interest in pleasurable experiences, coupled with symptoms affecting one or more of the following areas: 1) appetite and/or body weight, 2) sleeping patterns, 3) ability to concentrate, 4) psychomotor function, 5) energy levels, 6) feelings of self-worth or guilt, and 7) thoughts about death or suicide. 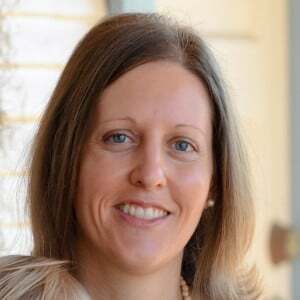 Dr. Helen Mayberg has described four intersecting symptom areas related to depression: mood, circadian-somatic regulation, cognitive ability and motor skills.1 Instead of relying on fixed, opposing classifications (such as vegetative vs. anxietous depression), she suggests that more diverse and variable presentations reflect reality. One person may experience delayed motor skills, difficulty in decision-making, apathy, inability to concentrate, overeating and excessive sleep, while another may experience obsessive guilt, anxiousness, motor agitation, insomnia, and anorexia. 1. The monoamine hypothesis maintains that depression is caused by a combination of a decrease in the manufacturing and release of neurotransmitters (i.e. serotonin, norepinephrine, dopamine) in the brain; altered use of tryptophan (serotonin’s precursor); and dysregulated neurotransmitter re-uptake and receptor availability. From this hypothesis springs most pharmaceutical treatment of depression, including the well-known selective serotonin reuptake inhibitors (SSRIs), which decrease re-absorption of serotonin from the neural synapse, allowing it to remain longer to do its job. 2. The theory of neuroendocrine dysregulation suggests that depression is a result of improper function of the hypothalamic-pituitary-adrenal (HPA) axis, three endocrine glands which work together with aspects of the nervous system (hence neuro+endocrine) to help us effectively adapt to all kinds of stress. In this case, depression is viewed as a (mal)adaptive strategy in response to stressors. Depression is also understood to cause or worsen HPA axis dysfunction. That the systems involved in stress response would play a role in depression is almost a given from an herbalist’s perspective, but the idea has only gained traction in conventional medicine in recent years—mostly only in the research arena and specialized populations, such as those with post-traumatic stress disorder (PTSD). As many as 30-70% of people diagnosed with depression have some inappropriate functioning of the HPA axis, which usually manifests as elevated cortisol levels and abnormal diurnal cortisol secretion (which impacts sleep-wake rhythm).1 The central nervous system and HPA axis behave as one unit in many ways, and so the monoamine hypothesis and this one are tightly, if not inseparably, linked. While physical, chemical and emotional stress all impact the HPA axis, early childhood adversity and unprocessed traumatic events predispose one to dysregulation later on. Ongoing stressful or negative emotions and thoughts are also primary promoters of neuroendocrine dysfunction. In short, the neuroendocrine system is a primary pathway through which our emotional landscapes—beliefs, worries, habits of thinking, self-esteem, sense of empowerment—translate into physical health or dis-ease. This is the seat of mindbody medicine. 5. Genetic variability and gene-environment interactions may play a role in all of the above areas. Depression may originate in heritable genetic deletions and variabilities which predispose a person to the condition through alterations in neurological, endocrine or inflammatory behaviors. Perhaps even more interesting and amenable to intervention, however, are the effects of our environment and behaviors (i.e. diet, relationships, pollutants, exercise, etc.) on the expression of the genes we came in with, a field of study known as epigenetics. [Very basically, genes are “turned on” or “off”, depending on what messenger molecules they come into contact with. These messengers change in response to our inner and outer environment.] In this theory, we see that some people may be born prone to developing depression and some people will develop it regardless of family history, due to environmental factors and life experiences. But these two pathways are not mutually exclusive. For example, inherited variations in the gene that codes for the serotonin transporter (responsible for re-uptake) are especially implicated in depression. Research also suggests that these same variations influence how sensitive one is to their environment, and so how likely they are to experience changes in genetic expression.5 It’s like a predisposition to vulnerability. This is young research, but I like to consider this information in light of traditional medical systems which often acknowledge three similar concepts: 1) original or “birth” constitution, 2) the energetic patterns of imbalance that develop through lifestyle and experiences, and 3) the fact that certain constitutions are more vulnerable to developing particular patterns of imbalance (e.g. constitutionally hot people are generally more likely to develop inflammatory disorders). In summary, many people experiencing depression will likely experience elements of dysfunction noted in each theory above: neurotransmitter activity, endocrine function and resistance to stress, emotional resilience and optimism, digestion and inflammatory tendency. Individual presentation in each area is mediated by both genetic inheritance and the environmental inputs that shape the expression of those genes, including diet, exercise, pollutants, adverse childhood events, traumatic experiences, social relationships and emotional habits. Herbs can be understood as an essential part of our environment, positively influencing the daily messages that our genes (or constitutions) interact with, modifying our genetic expression (or patterns of imbalance), and, so, how we function and feel. 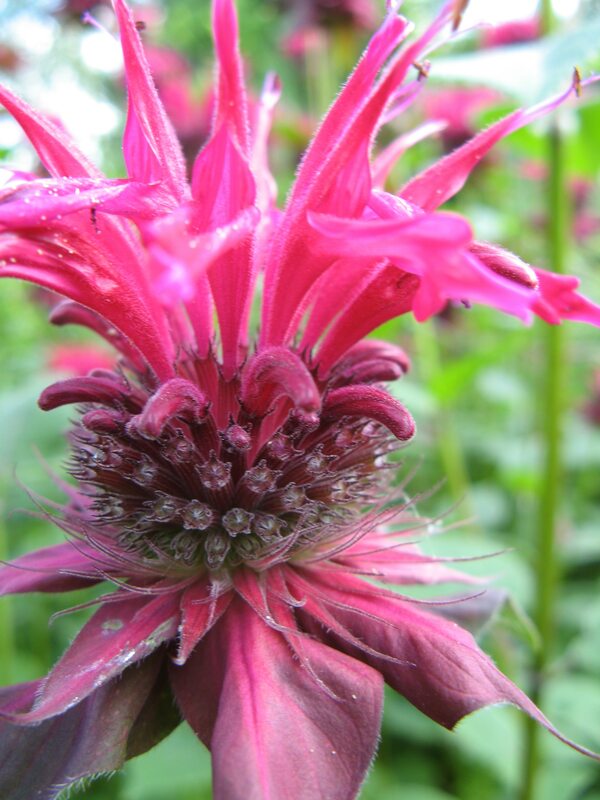 We can begin to see how nuanced and diverse disease expressions respond well to the herbalist’s approach. This is not only because herbs are specifically suited to “speak” to our biological complexity, but herbalists’ systems for pattern recognition also draw on life’s complex and nuanced nature. What this means is that if we can get a sense of the pattern(s) through which a person is expressing depression, we can better select herbs to support them. These selections can then be based not only on biochemical activities that address the above theories of cause, but also on energetic qualities (i.e. hot, cold, moist, dry, stimulating, relaxing, tonifying) and system affinities that recognize each person’s experience. While there are many ways to describe people’s patterns, there are three basic pictures that I’ve found show up repeatedly when addressing depression. While there is rarely a perfect fit, and this method will still invariably leave out some unique characteristics, this can be a starting place for protocol development. Keep in mind that aspects of two patterns can be present, as well. Hot/Overactive/Excessive/Tense: This presentation usually involves agitation, irritability and anger, anxiety, insomnia, digestive discomforts involving inflammation and diarrhea, headaches and general neuromuscular tension. Folks with more hot, tense constitutions (Pitta, Wood/Fire, type A folks) would most likely express in this way. There may be moisture or, if the heat is excessive, a person may have dried out. Often this presentation involves just pushing through, staying busy and masking difficulty. The anxiety and insomnia are often rooted in concern about how to get things done (and done right) or in overwhelm at one’s responsibilities. Many times, others may not realize this person is depressed because they can still be engaged and productive. These folks are still somewhat resilient and likely haven’t exhausted their endocrine reserves yet, but they might be getting there. Inflammation will be a big player and these may be the type to have cardiovascular conditions and hypersensitivities, along with depression. Cool/Moist/Relaxed/Stagnant: Here, we’re most likely to see sluggish, damp digestion, foggy thinking, low energy and motivation, low self-esteem, worry, possibly over-eating or comfort-eating, hypersomnia, hypothyroidism, metabolic syndrome and obesity. Those characterized as Kapha or Earth/Water types often express through this pattern. They often have the resources they need, yet lack the spark to mobilize them. Waste materials build up, circulation of blood and lymph is slow and brain function may suffer. There can be endocrine dysregulation involving the HPA axis, but just as often there are blood sugar and thyroid issues taking center stage. This presentation may most closely resemble the classic depressive picture. With a sense of the pattern or movements at work in a person’s body, psyche and environment, we can select plants that fit the particular pattern present. In my mind, this is the most important step. I am enormously fond of the research which emerges weekly, elucidating how or why the plants act as they do in biochemical terms and I have deep affection for the specific indications for each plant, based on organ affinities and specific “personality”. However, I find what can be most useful for self-care (and clinical work, really) is understanding the patterns of people and plants first and the details of each plant’s gifts second. So, this is how I’ve presented the herbs below, trusting that specifics about each plant can be found elsewhere. Before we proceed to herbal approaches, I also want to strongly emphasize the need for engagement with the emotional and cognitive terrain of the individual in conjunction with herbal support. I recommend a variety of mindbody interventions (e.g. Somatic Experiencing, breathwork, meditation), and refer for different types of psychotherapy, wilderness therapy or spiritual counseling—whatever resonates. I believe that the plants ease the way for this kind of psychospiritual work and, in turn, doing this work expands the reach of the plants. Most nervines with any research at all have been shown to shift neurotransmitter activity and some to interrupt HPA axis dysfunction and learned helplessness. The media darling, St John’s wort, has been pigeon-holed as an SSRI, but research suggests it acts broadly on numerous neurotransmitters, as well as possibly impacting HPA axis function and interrupting learned helplessness.6 In addition, it’s a prime liver herb and may reduce inflammatory mediators (e.g. IL-6) implicated in depression.7 I think we’ll “discover” eventually that all nervines act through these many pathways and more. No plant is a one-trick pony. The nervines we choose may be relaxing, stimulating or more neutral and tonic, depending on the presentation. Many will be aromatic, supporting digestion, relaxing musculature and improving cognition and circulation, while more bitter nervines will also support digestion and blood sugar metabolism, while reducing inflammation and the pain which may accompany depression. Adaptogens directly impact the HPA axis, interrupt learned helplessness, and many have an effect on neurotransmitters, as well. Adaptogens improve our resilience to stressors and also shift our perception of our capacity to manage those stressors. As immunomodulants, most adaptogens will address inflammation, and many are excellent nourishing tonics. Some directly regulate thyroid activity, normalize blood sugar and improve libido. We can select those which best address the most prominent symptoms, while again selecting more stimulating, relaxing or neutral plants, as appropriate for the general pattern presented. These are short lists, designed to be as clearly associated with each pattern as possible. Of course, many exceptions and additions could be made to these lists, but it’s a foundation for more complex formulation. Cold/Dry/Depleted/Tense (goals: improve assimilation and intake to increase moisture and nourishment, relax to enhance circulation and warmth, release spasm, reduce anxiety, ground and protect) *Many warming herbs are a bit dry for these folks, so add moisture with licorice, an excellent adrenal tonic. Circulatory stimulants can be important in supporting cognition and ameliorating sexual dysfunction that can appear as a side effect of common pharmaceuticals. Some favorites include rosemary, ginkgo, gotu kola, sage, prickly ash, and chocolate. You’ll note most of these have either tradition or research to support their use in depression, specifically, as well as often being great anti-inflammatories. 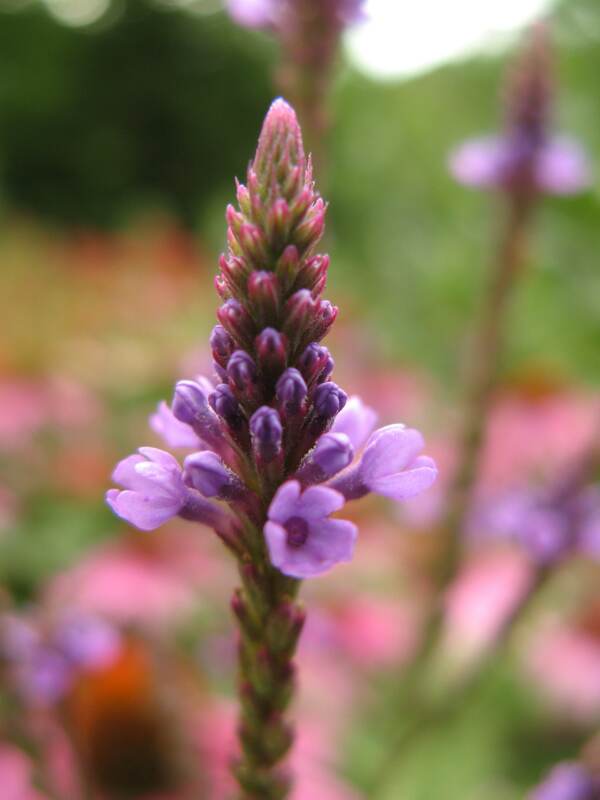 Many digestive stimulants/bitters are also nervines, and so have already been mentioned, but if somehow you’ve managed to formulate without something to regulate appetite, assimilation and sugar metabolism, as well as to address any inflammation, atony or stagnation, consider herbs such as gentian, dandelion, anise hyssop, and mugwort. While using specific herbs for depression can be incredibly helpful, perhaps the most significant contribution that plants can make has less to do with selecting the right plants and more to do with choosing plants as allies in general. Echoing what herbalists and traditional healers have long believed, Cahalan suggests that without direct intimacy with soil, changing weather, native plants, insects, ancient stones or the pleasure, curiosity and sense of engagement and belonging that such relationship brings, humans lose our context.9 Without ecological context, or groundedness, our full range of human response is truncated. To the extent that we deaden our awareness of and receptivity to the diversity of the world around us, we sacrifice our ability to deeply experience the myriad of possible emotions—joyful, as well as painful. We may become apathetic, numbed or perhaps restless for unknown reasons–essentially, we become depressed. By using plants as medicine, regardless of their purpose or specific mechanisms of action, we counteract feelings of numbness and depression as we engage more fully with our environment. We allow our bodies and spirits to interact with our ecology in a way that acknowledges our vulnerability and interdependence. Instead of rendering us weak, that vulnerability opens us to the support and nourishment of a wider world. Through entering into healing partnerships with plants, we have access to a more complete expression of our humanness in every sense. In the embrace of our ecological context, we are more responsive and resilient, relaxed and flexible, creative and inspired–in short, we are healing and coming home. 1. Mayberg, H (2004). “Depression: A neuropsychiatric perspective” in Textbook of Biological Psychiatry, Panksepp J, ed., John Wiley & Sons, Inc., NJ. 2. Seligman, M. (1975). Helplessness: On Depression, Development, and Death. San Francisco: W. H. Freeman. 3. 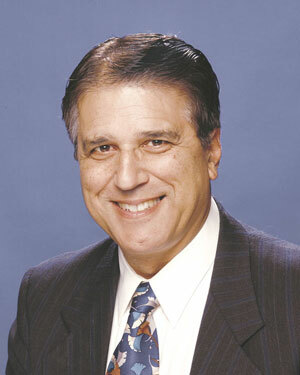 Seligman, M. (1998). Learned Optimism. New York, NY: Pocket Books. 4. Maes, M. (2008). The cytokine hypothesis of depression: inflammation, oxidative and nitrosative stress (IO&NS) and leaky gut as new targets for adjunctive treatments in depression. Neuroendocrinol Lett. 29(3): 287-91. 5. Aguilera, M., Arias, B., Wichers, M., Barrantes-Vidal, N., Moya, J., Villa, H., et al. (2009). Early adversity and 5-HTT/BDNF genes: New evidence of gene-environment interactions on depressive symptoms in a general population. Psychol Med. 39(9): 1425-32. * for more on this, check out David Dobbs’ writing on the Orchid Children. 6. Butterweck, V. (2003). Mechanism of action of St John’s wort in depression : what is known? CNS Drugs. 17(8): 539-62. 7. Fiebich, B.L., Hollig, A., Lieb, K. (2001). 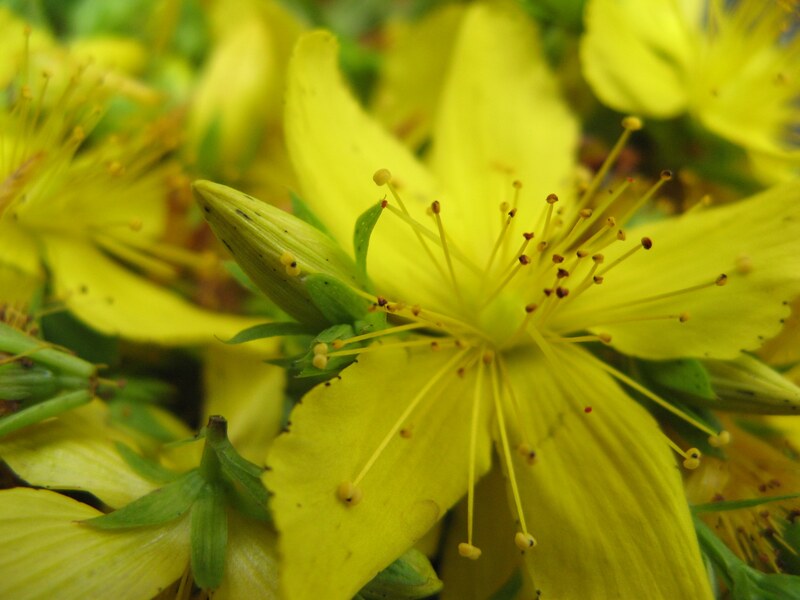 Inhibition of substance P-induced cytokine synthesis by St. John’s wort extracts. 34 Suppl 1: S26-28. 8. 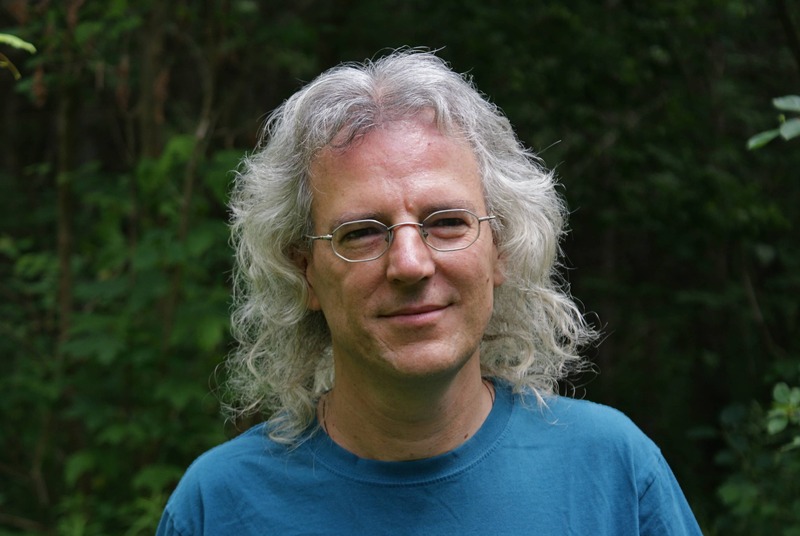 Hartmann, T. (2004). Last hours of ancient sunlight: The fate of the world and what we can do before it’s too late. Crown Publishing Group, Incorporated, MD. 9. Cahalan, W. (1995). “Ecological groundedness in gestalt therapy” in Ecopsychology: Restoring the earth, healing the mind, Roszak T, Gomes M, Kanner A, eds., Sierra Club Books, CA. Depression as a single symptom is hard to get a handle one. We need additional symptomology in order to differentiate which kind of depression we are dealing with. I have not, myself, made an overview of the whole subject, with differential symptoms, so I can’t discuss the subject as a whole. There are, however, two subjects I can discuss. Since we are headed into winter it would be timely to mention the two remedies I have used for seasonal adjustive disorder syndrome (SADS), in which a person gets depressed in the depth of winter, in sunless days, short daylight, prolonged cloudy weather, etc. These are Calendula (Calendula officinalis) and St. John’s Wort (Hypericum perfoliatum). This beautiful orange or yellow-orange flower looks like a drop of sunlight fallen to earth. It may rightly be called “herbal sunshine.” In the old homeopathic “provings” (tests on the healthy to produce symptoms) it was found that it was for depression “worse when the sun went behind a cloud.” It has since been used for depression from lack of sunlight, etc., and it is an excellent remedy for SADS. I also use it for children who are afraid of the dark. The name “Calendula” comes the observation that it is ‘in bloom through the calends of the year,’ or through most months in a temperate region. This from John Gerard (1595). This is a well known remedy for depression but how it works has never been determined and which types of depression are hard to pinpoint. It does work for SADS, according to my experience. It too is a “solar herb,” like calendula, because it blooms in midsummer, around St. John’s Day. The second subject I want to discuss is the difference between depression and melancholy. The latter is an old fashioned word, nowadays, and when it is used it is often mixed up with depression. This is important in both Chinese and Greek medicine, where emotions are associated with organ systems and paid much attention to from a clinical diagnostic standpoint. Depression proper comes from a loss of something. Friendship, love, the ability to spend time with or communicate with a person. Money, valued possessions, emotional important possessions. It is related to grief and it is associated with the lungs. The heaviness of grief falls upon the chest. Melancholy, on the other hand, is not a form of depression per se, but a type of brooding or pensiveness where one is locked up within oneself, within the imagination. One broods, turns over thought again and again in the imagination. The melancholic is stuck in their imagination; can’t think their way out, can’t think of a solution to their problem. This causes them to be too introspective, introverted, and cut off from the world. We don’t use the word “melancholy” too much anymore. The closest thing we have in modern English is the concept of “artistic funk.” The artist can’t imagination another great work of art, can’t imagine how to be creative. Melancholy is associated with the spleen in both Chinese and Greek medicine. The spleen is said to “store the thoughts.” In Chinese philosophy they say, “in heaven, images; on earth, thoughts.” So in other words, images are the progenitors of thoughts. In my experience, the consistent remedy for artistic funk and melancholy is Red Root (Ceanothus spp.) I found this one indication (“melancholy”) in a homeopathic clinical case. Also, this is the great homeopathic and herbal remedy for the spleen! Viewing depression as a mind-body problem rather than simply a mental-emotional problem is the first step to victory. We all know about the role of Vitamin D and seasonal affective disorder (SAD) but in my experience, treating depression as a form of stagnation – specifically, what Traditional Chinese Medicine (TCM) calls “Liver Qi Stagnation” – yields the most positive results. This is a condition that we can’t think our way out of; rather, we can change to a more healthful and healing diet, cutting out simple carbs like sugar, coffee, and alcohol, which all stagnate Liver Qi. In addition, cultivating more regular habits of eating, sleeping, and recreation, and of course finding more effective ways to lessen and address the issues of stress in our lives, also go a long way toward relieving depression. First, let’s look at the liver’s vast role in maintaining health of the body. The liver is the largest organ in the body because it has the most work to do. Physiologically speaking, we know the liver stores and produces sugar in the form of glucose (fuel) and keeps a constant supply in the blood to maintain normal function. The need to store and release sugar is primarily regulated by the hormones insulin and glucagon, both secreted by the pancreas. Stored sugar is called glycogen and the process of turning it into glucose is called glycogenolysis. The liver also manufactures sugar or glucose from amino acids, waste products, and fat byproducts. This process is called gluconeogenesis. Furthermore, the liver, which is estimated to perform over 400 functions that all contribute to the regulation of Qi and Blood, especially plays a vital role in endocrine regulation. Keep in mind that hormones are biochemical messengers that enable how the body directs and uses its energy on every level. The key role the liver exerts on hormone regulation involves four vital levels. Synthesis: The liver is responsible for synthesizing important hormones in the form of chemical compounds. Secretion: The liver is responsible for secreting necessary hormones into the bloodstream enabling the concentration of blood glucose as described above. It is also responsible for secreting amino acid proteins such as hepcidin and angiotensin, which are essential for blood circulation and a well functioning immune system. The liver also eliminates an overabundance of certain hormones such as androgen and estrogen through the bile or urine. The accumulation of these hormones is an endogenous toxic condition in the body tissues and can cause abnormal growths including breast lumps, cysts and uterine fibroids. Thrombopoietin production: Thrompopoietin (TPO) is a protein hormone produced by the liver. If is crucial in the production of bone marrow cells and their differentiation into platelets, essential to blood clotting. Breakdown: Just as the liver is responsible for eliminating excess hormones, it is also responsible for breaking down insulin, dead red blood cells, unused hormones, as well as toxins from food and the environment, transforming ammonia into urea for final elimination. According to TCM theory, the Liver is responsible for regulating Qi and Blood throughout the body/mind complex. When stress causes hormone imbalance, or when exposure to food and environmental toxins reaches the point where the liver is overwhelmed, these functions became impaired with particular adverse effects on the emotional-mental state. The result is Liver Qi Stagnation, manifesting as mood swings, depression and other psycho-emotional disorders. It is no wonder that one of the most popular TCM formulas used for depression, severe mood disorders and related conditions is called Xiao Yao Wan, which aptly translates as “Free and Easy Wanderer.” It is available in tablet form as Bupleurum Calmative in the Planetary formula line and is one of the most commonly indicated and prescribed traditional Chinese formulas. This formula regulates and coordinates the work of the Liver with Spleen-pancreas’ digestive functions. I recommend 2 tablets three times daily or 3 tablets twice a day. Honestly, hardly a day goes by that I don’t find one or more patients for whom this formula is indicated. The two lead herbs in the formula are Bupleurum falcatum (chai hu) and white peony root (bai shao). Bupleurum is a unique herb for the liver. It is never used alone and most of the time is paired with white peony root to soften its deep detoxifying energy. TCM describes bupleurum as an herb that ‘dredges’ the liver. 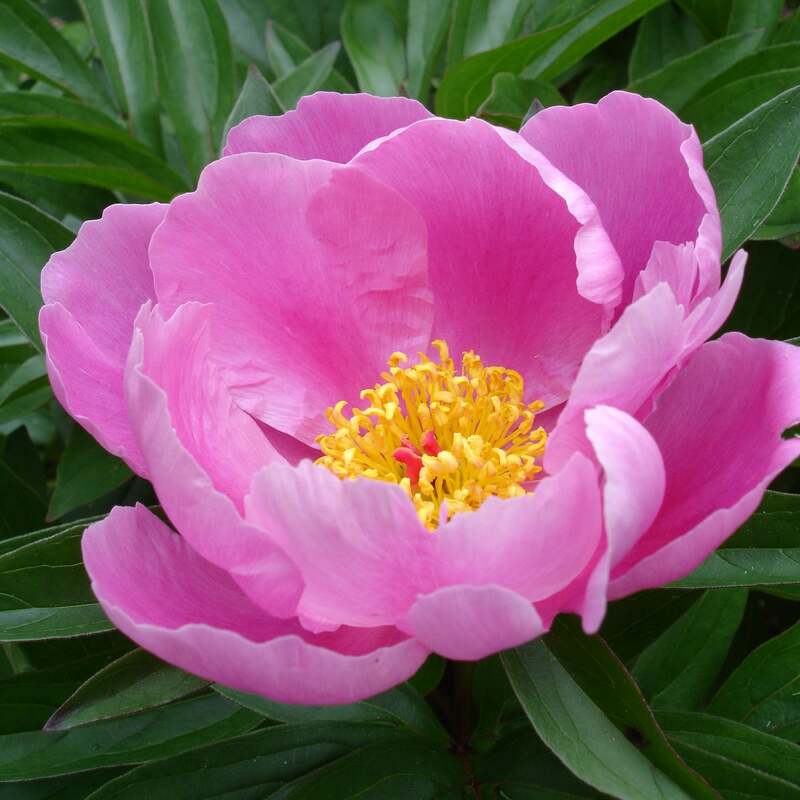 Xiao Yao Wan also treats anemia with the combination of both peony root and dang gui (Angelica sinensis). It contains the Chinese mushroom poria also known as fu ling, which regulates fluids. It also contains fresh ginger for circulation and a small amount of mint which carries the beneficial action of the formula upward to affect the mind. Often this formula is prescribed with the addition of gardenia seed, which clears heat that has accumulated in the liver as a result of prolonged stagnation. I have used this formula successfully with a wide range of mental-emotional disorders including depression, PMS and bipolar conditions. As illustrated above, look further than St. John’s wort (Hypericum perforatum), which mildly enhances serotonin uptake inhibitors, for effective approaches to treating depression. For example, I often have patients take Bupleurum Calmative with 30 drops of a liquid extract of Albizzia bark and/or flowers, which has been dubbed by some as an ‘herbal anti-depressant” as well as a tea of pleasant tasting lemon balm. Depression is a very complex condition. Although the way I work I never treat anything in isolation, I will do my best to share some general insights into how I approach depression. Herbs are incredible tools to help facilitate our healing process both physically and energetically. However, it is even more important to do our best to explore the deeper causes behind depression. Past trauma is often an issue, as is living one’s life primarily from a mental perspective and/or based on fear rather than living in the moment, following our heart, and connecting with and living in alignment with our life’s purpose. For most of us, much of our stress, anxiety and depression results from stories we tell ourselves which are often out of proportion with our actual life situations. Buying into the consumerist dogma and slaving away to accumulate material possessions, or being on call 24/7 via cell phones, text messages, Twitter, Facebook and all our other social networking addictions, which create an illusion of connection while actually distracting us from our real life that is right in front of us, also creates more stress and disconnectedness in our lives that can contribute to depression. We need time to just be quiet and present, free of the sensory overload that consumes so much of our lives. Connection to nature is also necessary for our well-being, as is good quality relationships with our fellow human beings. On this level counselling and various meditation and other disciplines that help us to live more in the present and develop a deeper level of self-awareness are often an important part of the healing process; as is spending more time in nature. On a more mundane level, eating well and getting lots of aerobic exercise are critical to our emotional and mental well-being. This also means that it is essential that our digestive function is good to ensure that we are able to efficiently assimilate the nutrients in our food. All of our cells, tissues and organs require an adequate supply of nutrients to be able to heal and function properly. Similarly, it is essential that our body is able to deliver those nutrients to where they are needed. Good circulation is also a critical component of the healing process. Toxicity is an issue that usually needs to be addressed at some point. Many environmental toxins directly interfere with normal hormone and neurotransmitter function and negatively influence our nervous system indirectly in other ways. Of course, learning how to minimize our exposure to toxicity as much as possible is better than using herbs and other methods to detoxify after the fact. Recent research has also brought to light the importance of healthy gut flora to our mental and emotional state. There are complex interactions between gut flora and our immune, endocrine and nervous systems that we are only just beginning to recognize. A good diet high in vegetables, fruits and fiber, as well as good digestive function and regular elimination are essential for healthy gut flora. Supplementing with probiotics and probiotic fermented foods may be necessary if there is evidence of disturbances of the microflora of the digestive tract. 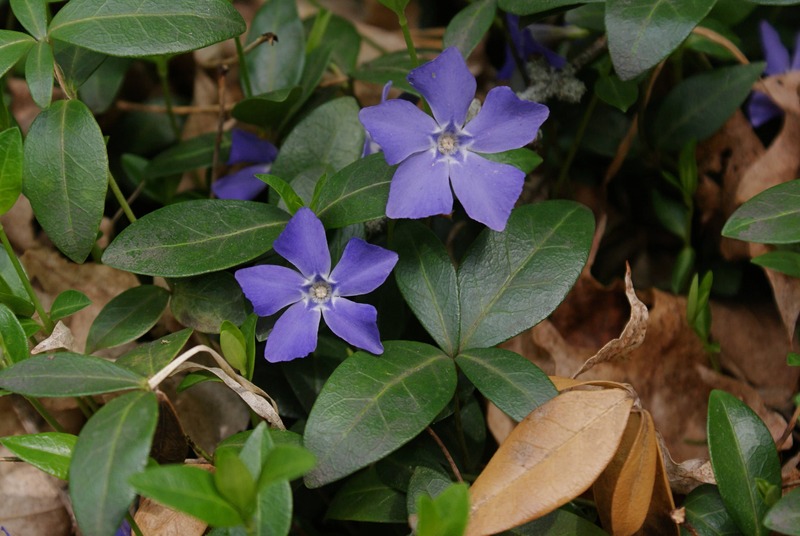 In terms of putting together an herbal formulation specifically for the treatment of depression, my primary focus is on herbs that are relatively gentle restorative nervines. I have found that all herbs are nervine to some degree. This is partly because many of the members of ubiquitous chemical families such as organic acids and polyphenols have actions on the nervous and cardiovascular systems. The cardiovascular connection I will address later, but basically increasing blood flow to an organ is necessary to help restore and maintain normal functioning of that organ. 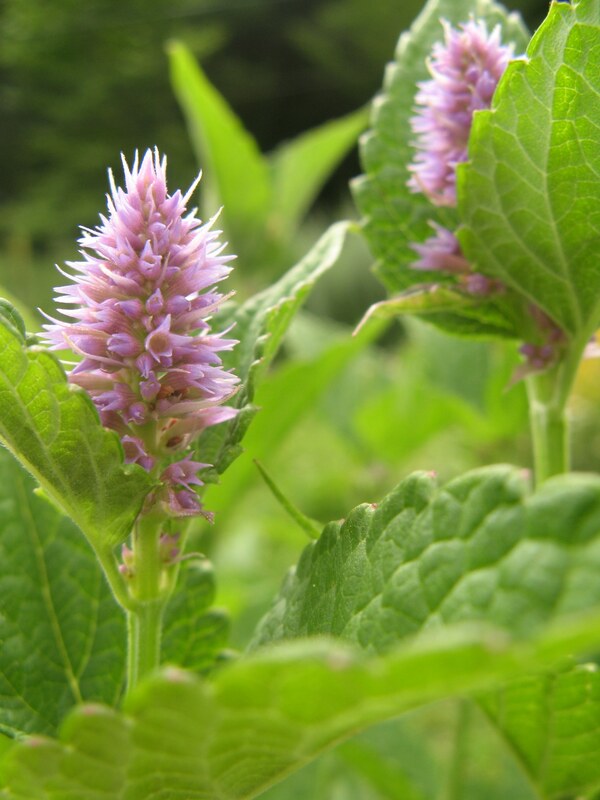 I have also found that most nervine herbs are antidepressant to some degree, but there are definitely some that are better than others and, like all herbalists, I have my favorites. Nervine herbs tend to have a very complex action on the nervous system. This is because they affect neural function via a multitude of interactions between many chemical constituents that affect the nervous system directly and indirectly. Without getting bogged down in the complexity of these interactions, from a subjective point of view most nervines have two primary actions: they calm us down and they increase our alertness. All nervines have both of these effects to some degree. On the basis of this I tend to classify nervines into two broad categories. Tranquilizing nervines are those for which the calming affects are greater than the degree to which they increase alertness. This occurs in varying degrees ranging from those herbs that are mildly calming to those that are fairly sedating. 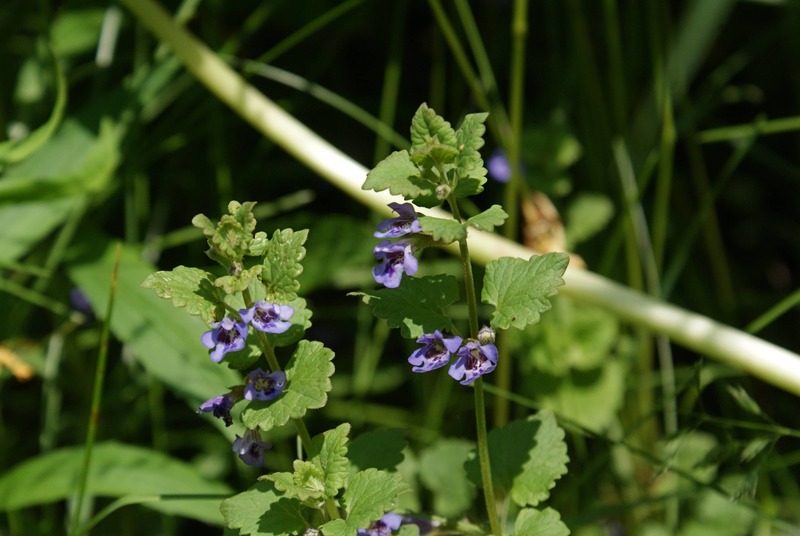 Amphoteric nervines are those herbs for which the tranquilizing and increased alertness actions are relatively balanced or weighted slightly more towards increasing alertness. The term amphoteric implies that they have seemingly opposite effects: they calm us down and make us more alert at the same time. Which action tends to dominate often depends on the state of the person, but when we take these herbs and allow ourselves to be with the experience of them, we can clearly notice both affects. Some herbalists refer to these herbs as “stimulating nervines” but they are not true stimulants, unlike herbs that contain constituents such as caffeine. Amphoteric nervines increase our alertness to a large extent due to their ability to increase blood flow to our brain. More blood means more oxygen and nutrients which tends to make us more alert. All true nervines (i.e. restorative nerve tonics) are neural vasodilators. However, some are more sedating than others and therefore the tranquilizing action overrides the increase in alertness. Nevertheless, because of the complexity of the actions of these herbs, it is not uncommon for different people to respond to the same herb in different ways. For instance, most people find common St. Johnswort herb and valerian root to be mildly to moderately sedating. However, a very small percentage of people find one or both of these herbs to be extremely stimulating. Whenever we improve blood flow to an organ it always has a restorative action. This is one of the reasons why aerobic exercise is very important for the treatment of depression. 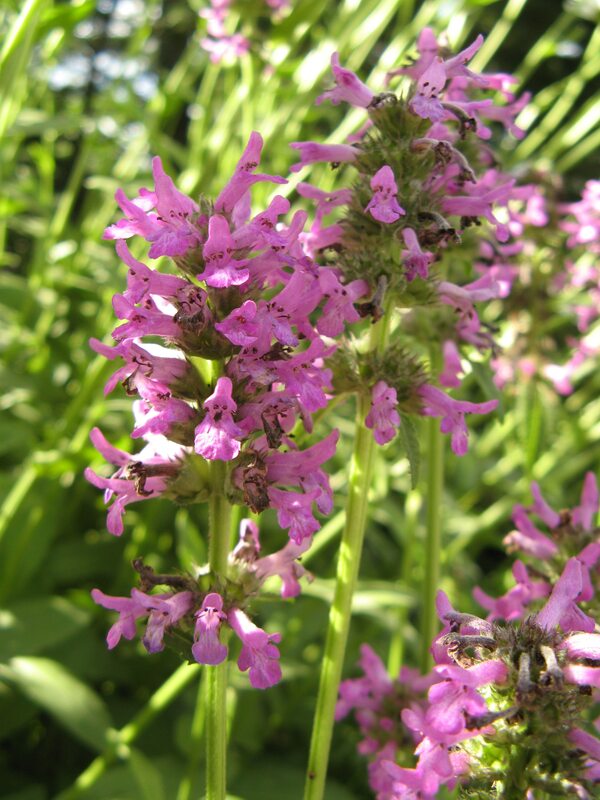 Good neural vasodilator herbs are also essential for the treatment of depression. The best herbal antidepressants are usually nervines that are either mildly tranquilizing or amphoteric, and are good neural vasodilators. One of the important aspects of creating a good formula for depression is to find the right balance between tranquilizing and amphoteric nervines. For the sake of simplicity, let’s say we want to put together an antidepressant formulation with four or five herbs. A good generic nervine formula will usually have three or four tranquilizing nervines and one amphoteric nervine. If a person who is suffering from depression tends to be hyper, anxious and have an over-active mind, we will want to create a formula weighted more towards the tranquilizers. In this case we might use only tranquilizing nervines and possibly include a stronger sedative. If, on the other hand, the person tends to be more down and experience mental and/or physical fatigue, it is necessary to shift the balance more towards the amphoteric nervines. We might want to include two, three or even four amphoteric nervines depending on how down and fatigued the person is. In my experience it is usually necessary to include at least one tranquilizing nervine in a formula for depression. I don’t like to go too far to the extreme, so even in more severe cases I am likely to start with a formula with two amphoteric nervines, rarely three, and then adjust the formula after I see how they respond to being on the initial formula for a few weeks. As the name implies, neural vasodilators increase blood flow to our brain by dilating blood vessels. This action can also be accentuated by creating a warmer, more pungent formula. Finding the right balance in a formula to suit the needs of a particular individual also necessitates determining the ideal level of heat in the formula. The last point I’d like to make before providing some examples is that for most people warmer and more amphoteric formulations are not appropriate to be taken before bed because the increased alertness factor will often make it more difficult to fall asleep. Some of my favorite tranquilizing nervines that are also good antidepressants are ground ivy herb (Glechoma hederacea), common St. Johnswort herb (Hypericum perforatum), English lavender spike (Lavandula angustifolia), motherwort herb (Leonurus cardiaca), ox-eye daisy herb (Leucanthemum vulgare), lemon balm herb (Melissa officinalis), wild bergamot herb (Monarda fistulosa), marjoram herb (Origanum majorana), common scullcap herb (Scutellaria galericulata), mad-dog scullcap herb (S. lateriflora), thyme herb (Thymus vulgaris), valerian root (Valeriana officinalis), blue vervain herb (Verbena hastata), and European high-bush cranberry fruit (Viburnum opulus var. opulus). The amphoteric nervines that I tend to use the most are maidenhair tree leaf (Ginkgo biloba), hyssop herb (Hyssopus officinalis), wild mint herb (Mentha arvensis), peppermint herb (M. x piperita), spearmint herb (M. spicata), white pine leaf/twig (Pinus strobus), rosemary herb (Rosmarinus officinalis), feverfew herb (Tanacetum parthenium), and common periwinkle herb (Vinca minor). A small amount of cayenne fruit (Capsicum annuum) in a formula will increase the pungency and tends to accentuate the action of amphoteric nervines both by virtue of its pungency and as a result of an inherent quality of cayenne in itself. As I mentioned previously, good digestion is also very important in order to ensure adequate assimilation of nutrients. In order to provide some support for digestion, our formula also should be moderately aromatic, moderately bitter, and mildly to moderately warming. The heat factor will also increase the effectiveness of the neural vasodilator action due to its affect on general circulation. Of the herbs that I have mentioned, St. Johnswort, ox-eye daisy, lemon balm and high-bush cranberry are mildly aromatic; ground ivy and feverfew are moderately aromatic; and English lavender, wild bergamot, marjoram, thyme, valerian, hyssop, the mints, white pine and rosemary are very aromatic. Ground ivy, English lavender, wild bergamot, marjoram, scullcap, thyme, valerian, maidenhair tree, hyssop, white pine, rosemary and common periwinkle are mildly bitter; and motherwort, blue vervain and feverfew are moderately bitter. Ox-eye daisy, marjoram, thyme, valerian and rosemary are mildly warming; wild bergamot is moderately warming; and cayenne is very warming. There is a lot of hype these days about the potential of herb-drug interactions. This information tends to be skewed towards a medical model paradigm and largely based on rationalistic conjecture rather than how things work in the real world. The biggest problem with herb-drug interactions is that drugs tend to interfere with the long-term ability of herbs to restore and normalize function. Many people who suffer from depression are on one or more anti-depressant and/or anxiolytic medications. When I introduce herbs into their regimen, what typically happens is that they feel a lot better than they did when they were only taking the drugs and the herbs tend to significantly reduce or eliminate the side-effects of the medication(s). That being said, it is very important that the herbal formula is introduced at a very low dose and gradually increased over a period of a few weeks or months. This allows their body to more easily adapt to the interactions between the herbs and any medications that they are taking. Over time the dosage of the drug(s) can be gradually reduced and it is usually possible to eliminate them completely if the person is also working on the diet, lifestyle and attitudinal issues that underlie their depression. Although I have not seen any negative reactions to this approach, it is best if someone who is suffering from depression and also taking medications is treated by an experienced herbalist. Once I see a significant in a person’s emotional and mental well-being after a period of time using antidepressant nervines, I find it useful to eventually switch them to a more adaptogenic formulation for awhile. It is best if they are well along their healing path. The adaptogens are the icing on the cake. In my practice my preference is to use 1:5 fresh herb tinctures, however, the act of sitting quietly sipping on a cup of herb tea can in itself help to calm a person down and reduce stress, especially if we enjoy the flavor. 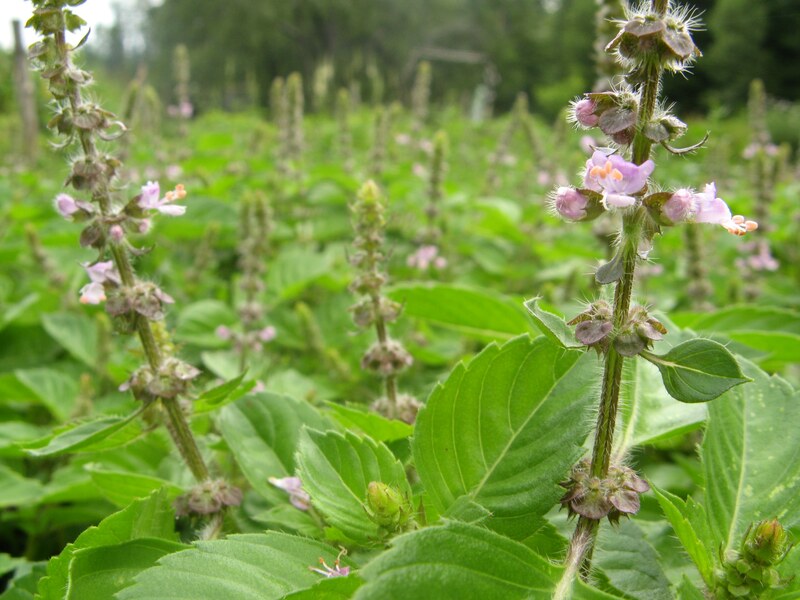 Therefore, for those people who are so inclined, when they have time I may suggest that they add there tincture formula to a cup of a nervine tea such as mint or some other flavor that they enjoy, sit quietly, relax and sip on it slowly. If they can do it sitting outside gazing at some trees all the better. This provides a general sense of how I approach depression. However, it is artificially simple. I come from a holistic body/mind/spirit approach and never treat particular symptoms in isolation. In the treatment of an actual person the formulations that I use will be a lot more multi-faceted than this in order to address multiple aspects of the person’s condition. Intimately and ultimately a sense of dis-connection, of being separate from self, others, and Nature lies behind depression in all its variations, because the illusion of separation is distressing and depressing! It isn’t actually possible to be disconnected, but it’s certainly possible to feel that way. Labeling our feelings and medicalizing various states of mind is currently rampant, and not necessarily in the best interests of our healing. Having worked with supporting and nurturing people’s physical, mental, emotional and spiritual health for some decades I’ve come to a conclusion that the more adamantly we name and claim our condition, the more attached to it and its known manifestations and expected symptoms we become. Disease becomes entrenched in the mind as well as in the body. This is pernicious with depression. When you say, “I am depressed,” or I have S.A.D. or I am bi-polar, you’ve identified with this condition as if it is the basic nature of your being. But it isn’t, everything changes, or, as the Paul Williams song lyric says “What I’ve got they used to call the blues…” and before that they called it “the vapours”. I acknowledge the paradox that naming a condition can also lead to a sense of relief and empowerment that can be helpful to the healing process. But is it empowerment or merely an attempt at control? All healing is self-healing and we each need to find what methods, people, and substances are most helpful to help us heal ourselves. 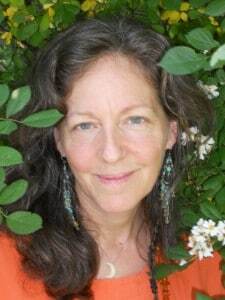 As a practitioner, I listen to learn and then employ or suggest the methods and language that will best help the person sitting in front of me, even as I work to help that person stretch beyond their comfort zone to stimulate their own growth and healing, and ultimately, their evolution, with the invaluable help of herbal medicine. And regardless of a person’s constitution, viewpoint, circumstances, current medication, etc., finding a way to reconnect oneself with the healing energy of nature itself is of central importance. It can be done in “baby steps” if necessary. Speaking of steps, movement is also necessary for healing. People spend a lot of time trying to work out whatever “it” is in their minds, but the body is actually better at working it out, whether through yoga, or walks in woods, or dance, etc. I also look immediately to diet when someone comes in saying they are depressed. I’m not going to delve into that here beyond saying that the mind can only function in a healthy way when the body is getting the essential nutrients it needs. As a practitioner, my first “treatment” is to listen, really listen…with compassion. This is important no matter what someone has come to see me about, but with matters of mind, heart, and soul it may be the most important part. I know that when I go to see someone for healing, this is the first thing I look to receive from him or her. Presence, openness, and compassion, in addition to the particular skill set they practice. I suggest you first “treat” whatever you call “depression” compassionately, as a messenger that’s trying to bring you home to self-awareness, and ultimately to the self love and acceptance that will help you to live a healthy, happy life rather than as an enemy to be killed. Along the same lines, I advise caution and mindfulness regarding whether you are using herbs to listen to your inner self and body wisdom (whether the body is yours or your client’s) or to get them to just shut up and leave you alone. Though it’s tempting to “kill the messenger” by making the symptom go underground or vanish, whether you’re talking about a broken leg or a broken heart, or a miserable mind, it’s unwise. Better to soothe and strengthen yourself with herbs and other practices and to find the meaning and the message, so as to get your true needs met, otherwise the body simply finds another way to bring your awareness to some part of you and your life that needs to be looked at and tended to. 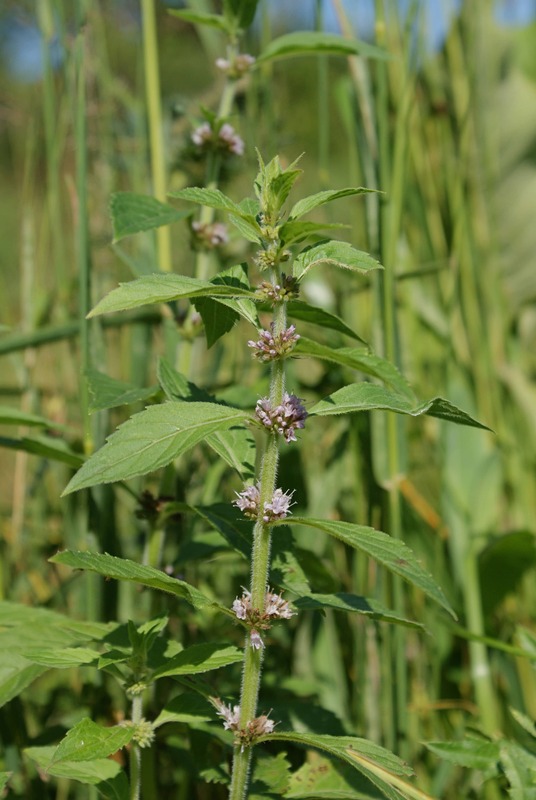 I’ve often found combinations of oats and motherwort, or oats, motherwort and skullcap to be particularly helpful. Supporting a person rather than a condition is of primary importance, so rather than trying to illustrate potential treatment plans, I’m going to write more generally. I have seen people wean off anti-depressants, anti-anxiety medications, and even anti-psychotics with the help of herbal medicine. I like to use a combination of bitters for digestion and sweeteners for bringing in more sweetness. Personally, herbs have made a huge difference in the health of my nervous system. I use digestive strengtheners, nervines, and uplifting spirit medicines, and grounding, earth-loving roots like burdock and dandelion. Minerals are the driving force of the nervous system, and many people are mineral-deficient these days, so mineral rich herbal allies are helpful. 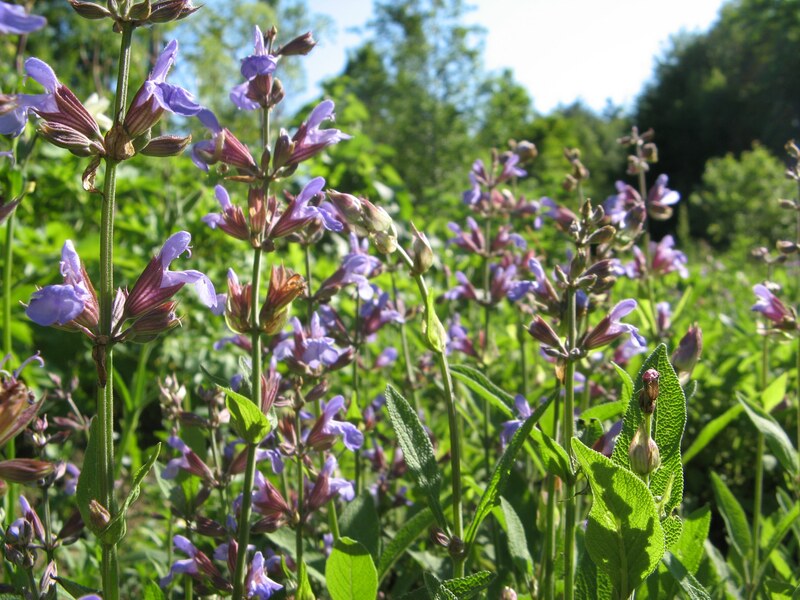 Sage – I like garden sage for its complex mix of minerals, especially zinc and potassium, and for the way it feeds the brain and central nervous system. 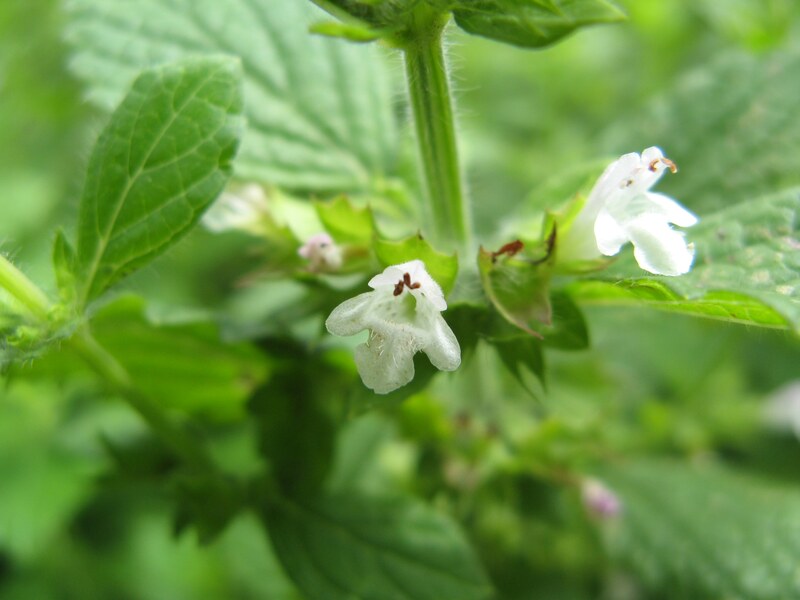 Nettles – This chlorophyll-rich plant is not only rich in minerals and vitamins, its formic acid content (that which makes it sting) teaches those who drink it to embody healthy, self-respecting boundaries. Depression can often be a manifestation of feeling vulnerable and disempowered. 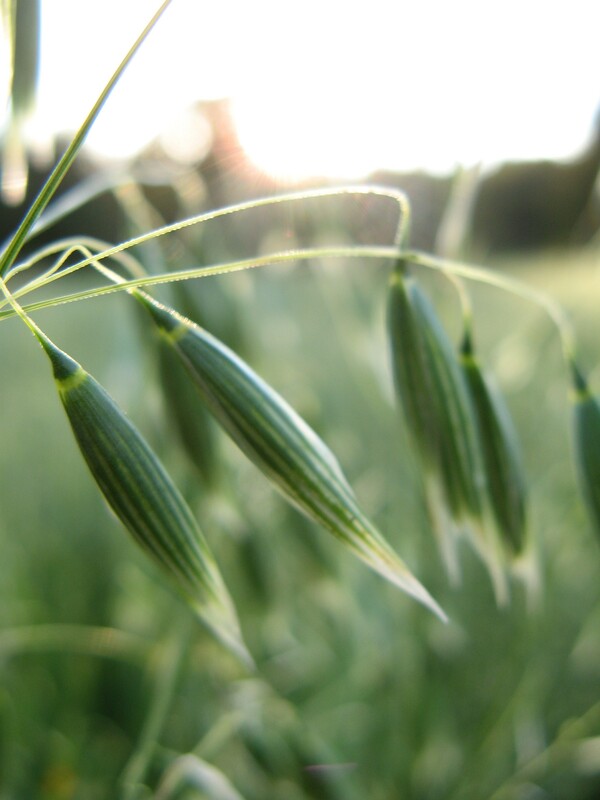 Oats – are a classic for “depression”. They, too, are mineral rich, and metaphorically they mirror how flexibility and fluidity are assets to mental and emotional (and physical) health. Additionally, digestive health is directly related to mental/emotional wellbeing via the enteric nervous system in the gut, and oats are supportive to digestive health. 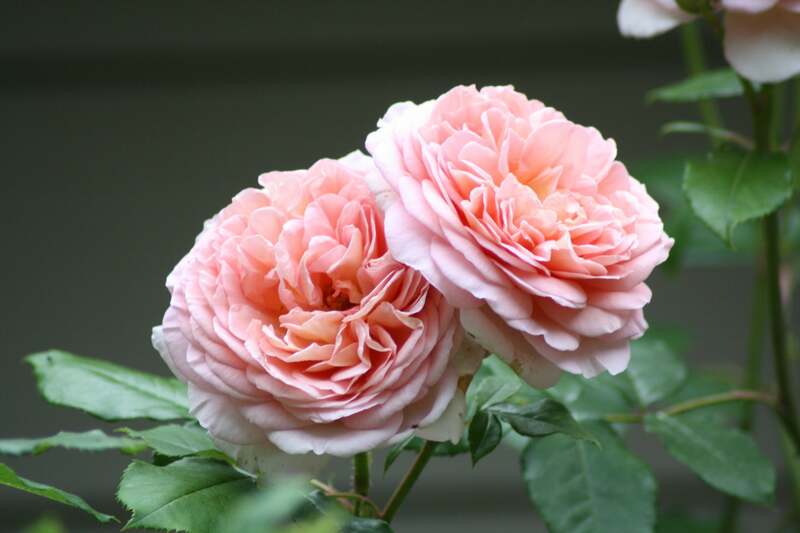 Rose- is a favorite of mine when there is self-judgment involved in the mental/emotional struggle. Rose works to help one’s heart open and this does amazing things for one’s mind! I use dried blossoms for infusions as well as fresh blossoms tinctured in vodka and glycerites made with fresh blossoms. As I said, above, sometimes using herbs in a sweet form can be really helpful for someone who feels their life has no sweetness. 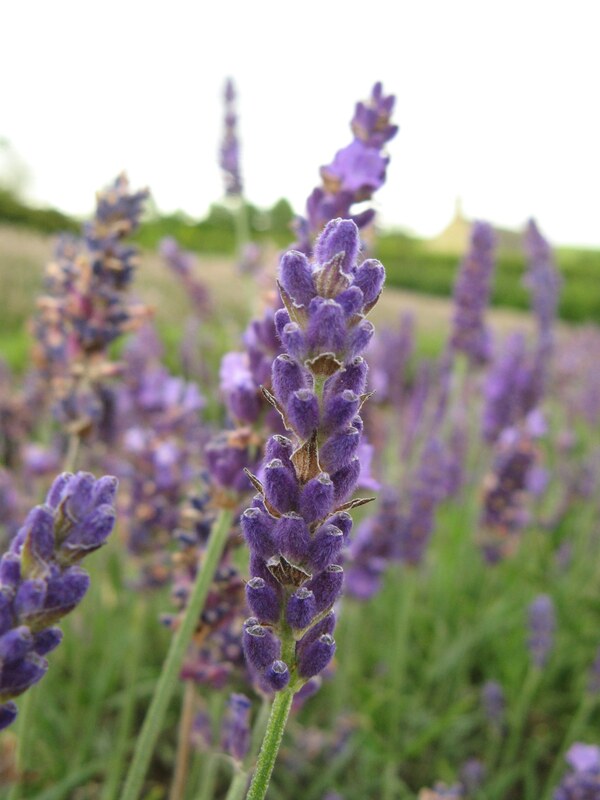 Lavender – is an excellent nervine, I like lavender tea and glycerin for depression, grieving, and the blues that come from having your heart broken. Herbalist Kiva Rose writes that it is good for people who are always wrinkling up their foreheads, which I associate with worrying and thinking too hard, out of balance with feeling and body awareness. Lemon Verbena – is another great, uplifting nervine. It combines well with roses to lift the spirits. Holy basil- and also “regular”, lime, and lemon basils are all adaptogens that help mental states to become more even-keeled and to help lift mental fog. Basils help digestive health, too. Red clover- is essential medicine. Its amino acids feed the neurotransmitters in the brain. It aids digestive health, especially if there is excess acid in the stomach. Linden flowers- these are helpful if depression is due to a major loss. It brings in the multi-dimensional world where all is one in the larger reality and there is ultimately no separation. Blueberry- leaves and berries, and the flower essence, too, help where there is a lack of sweetness in life, leading to a feeling of emptiness or meaninglessness. It helps balance the blood sugar, as does cinnamon, which finds it’s way into my recipes, too. 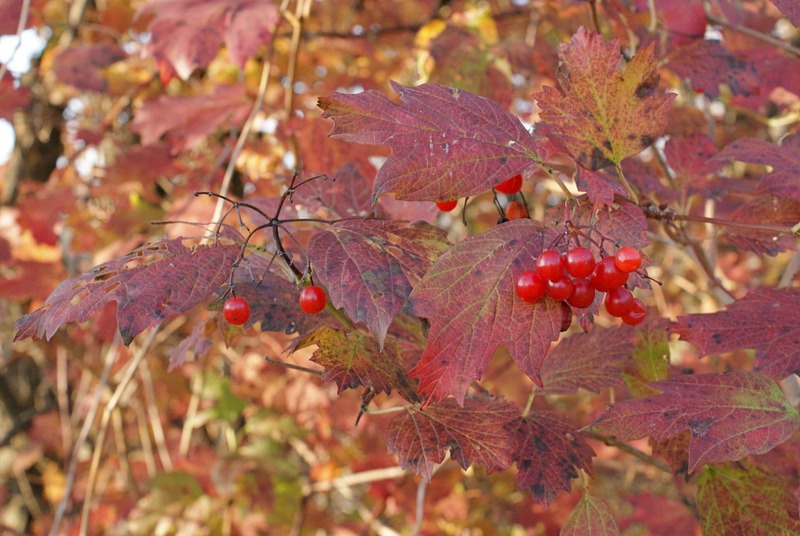 Hawthorn berries, leaves and flowers- are also essential medicine. I had a client in her 60’s who was “never happy” even though she had a loving husband, a satisfying job, and a secure home. We worked together on her various health issues that included digestive challenges and fungal skin issues. I also included hawthorn in her mix. She came in one day and said, almost accusingly, “Why didn’t you tell me these berries were anti-depressant? I’m amazed how happy I’ve been!” She gradually came to feel so well I haven’t seen her again in years, hooray! Cherry blossoms- the blossoms of various species of cherries are amazing to me in how effectively they help stabilize the nervous system. 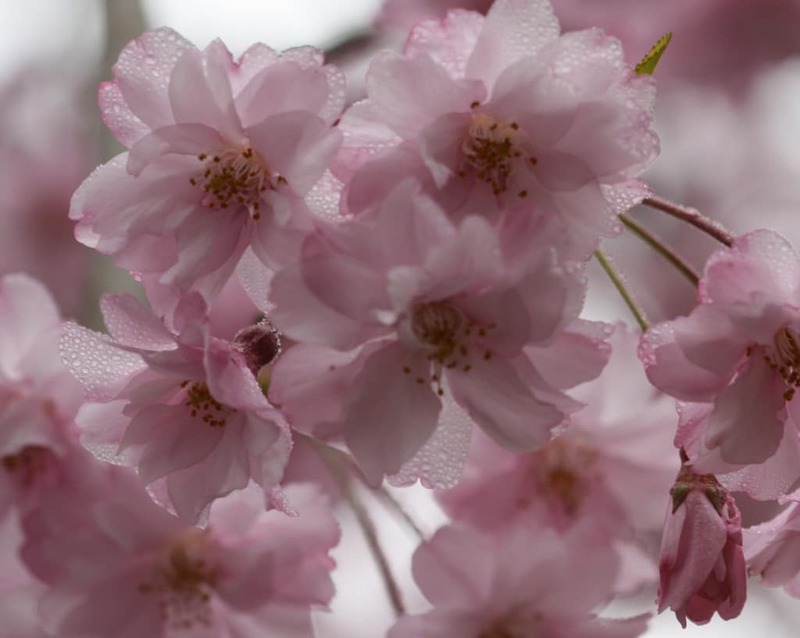 The so-called “weeping cherry” has told me she is flowing, not weeping, and is most helpful for releasing habits of sadness, for the places within us, that when they get triggered, we automatically go into feelings of despair. She helps us move from habits of sadness into new experiences of joy. I use these blossoms, (along with those of kwanzan cherry which bring pure joy) in infused honey, vodka tincture and flower essence. The plants know who they are and what their purpose is and when you take them into yourself they can help you know who you are and what your purpose is, too. This brings out your natural state of joy. Thank you for this comprehensive article! 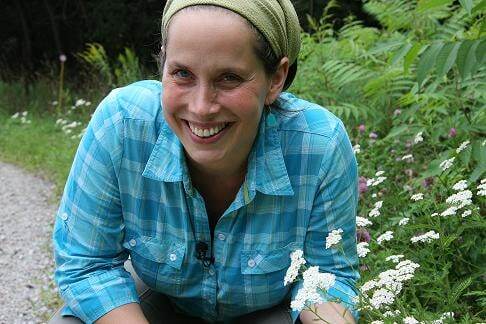 As an herbalist who has worked with plants to heal my depression and who works with others to heal theirs, it is wonderful to have a range of approaches and herbal protocols to add to my work. Wow — *thank you* to Herb Geek and all the contributing herbalists for such an extensive, generous offering! Does anyone have any thoughts about the herb Kratom? Very well done! Such a comprehensive, intelligent, informative approach to an often misinterpreted subject. Without doubt or question, an *excellent* read! My sincere thanks to all who contributed to this little masterpiece of wellness, balance, harmony. Thank you for a wonderful array of thoughtful articles opening up many perspectives. Absolutely wonderful. Helping us to come back to nature’s way of healing and happiness. Wow…a tour de force. This gets herbal article of the year in my book. 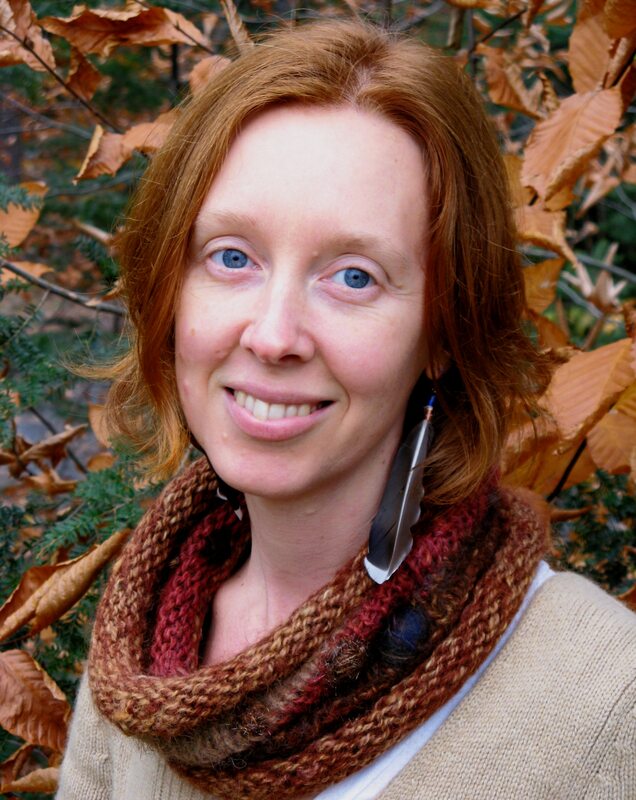 As someone deeply interested on the intersection of emotional distress and herbalism, each of these amazing practitioners added a new angle, some heart felt wisdom that I hadn’t thought of before. Herbalists have an amazing way of seeing a larger ecological picture, to view distress in terms of constitutions and bio individuality. One out of nine adults take antidepressants here in America. How did we get to a place where taking a strong pharmaceutical drug with its myriad side effects and long term health complications became the acceptable way of approaching the complex and tangled narrative of depression? Thanks again for taking the time to offer this good medicine to all of us! Astounding,,, the photos alone would raise one from depression! Nice work- I appreciate the comprehensive articles, and the pictures are lovely! I grow a few of these herbs and find just sitting next to these herbs growing does wonders for my perspective. So much wisdom here! Too much for a quick scan. This article is a keeper for me. Thank you to all the herbalists who shared information here.